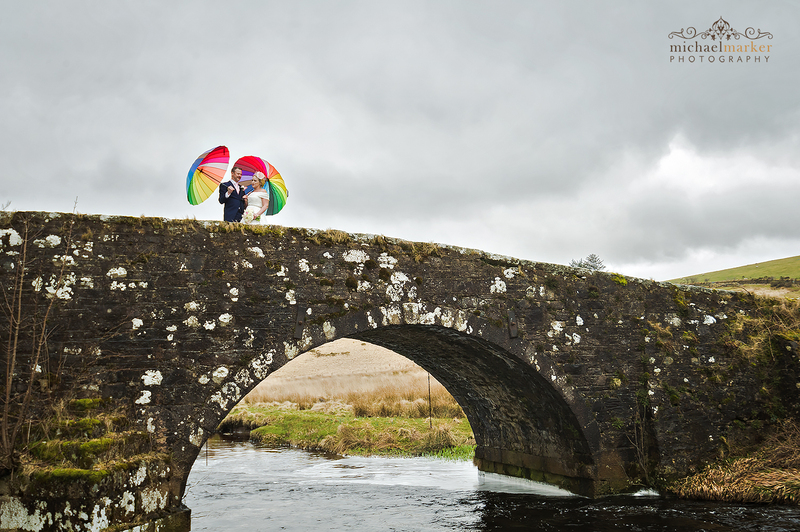 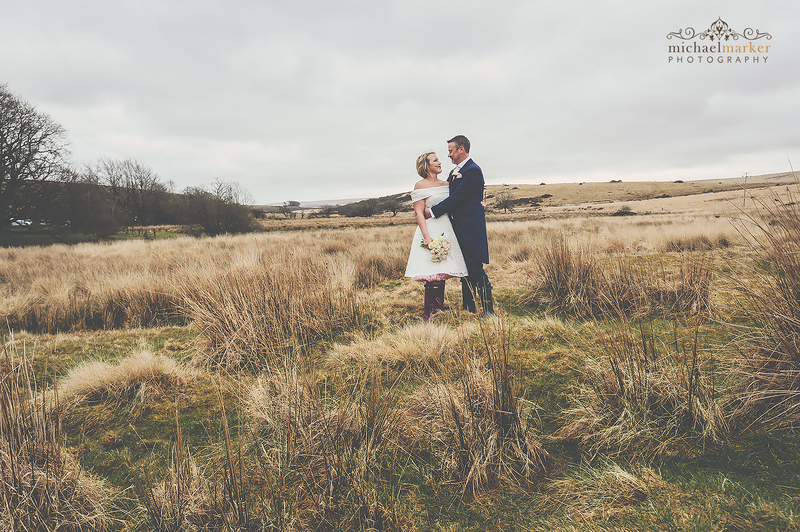 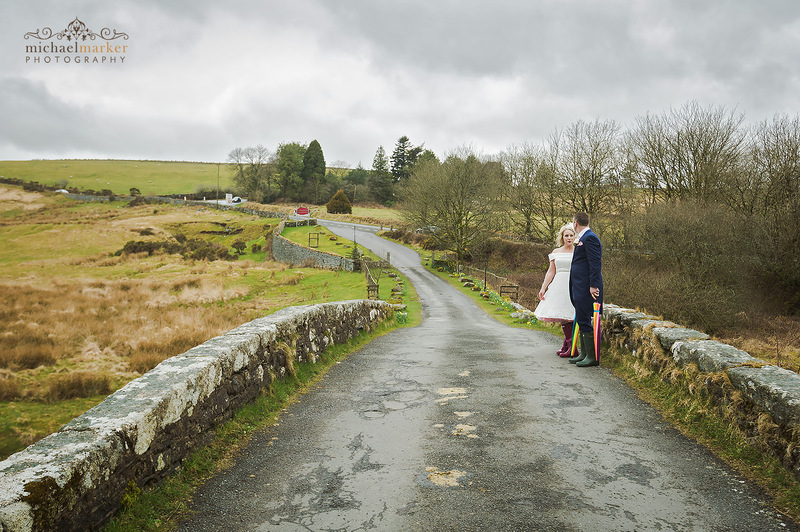 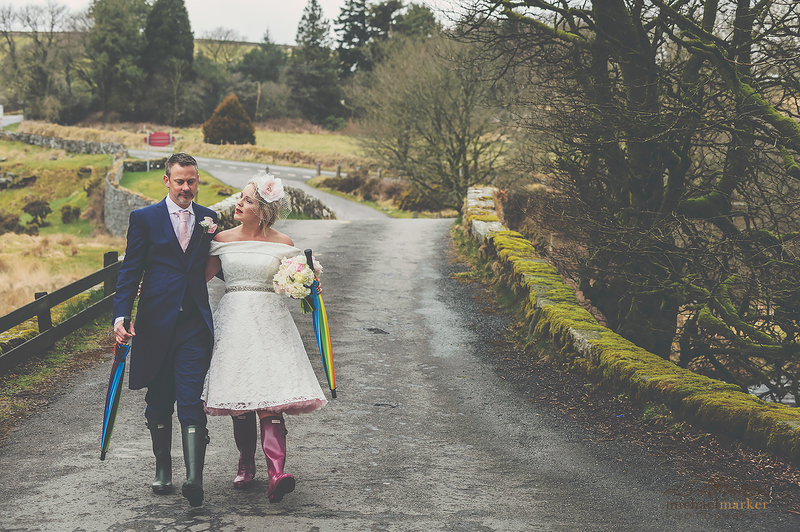 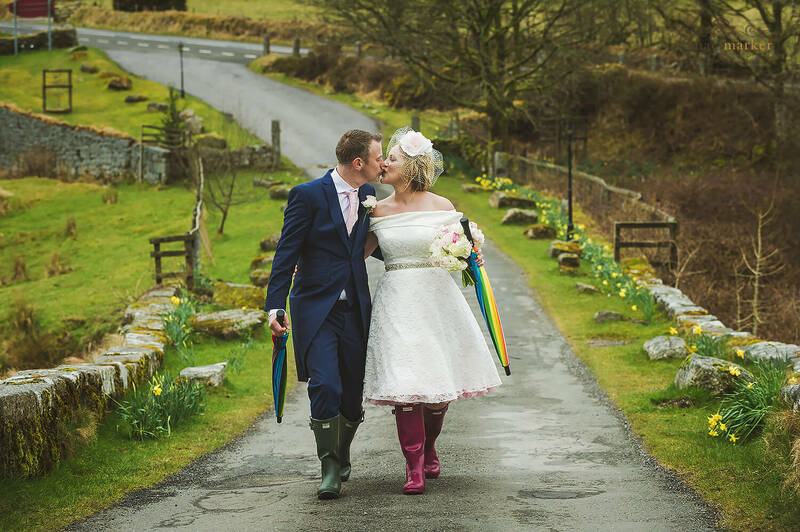 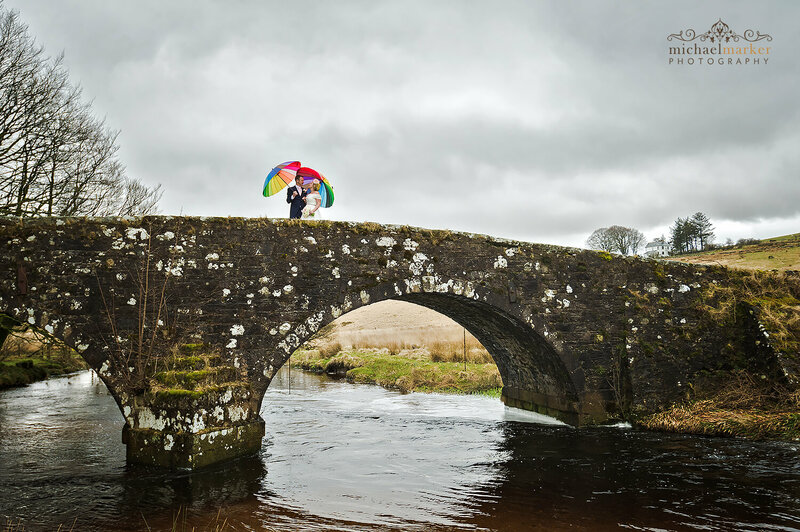 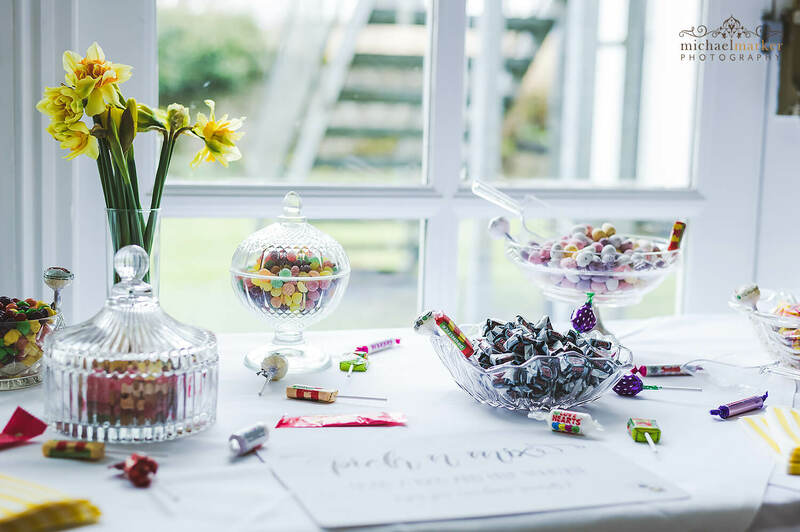 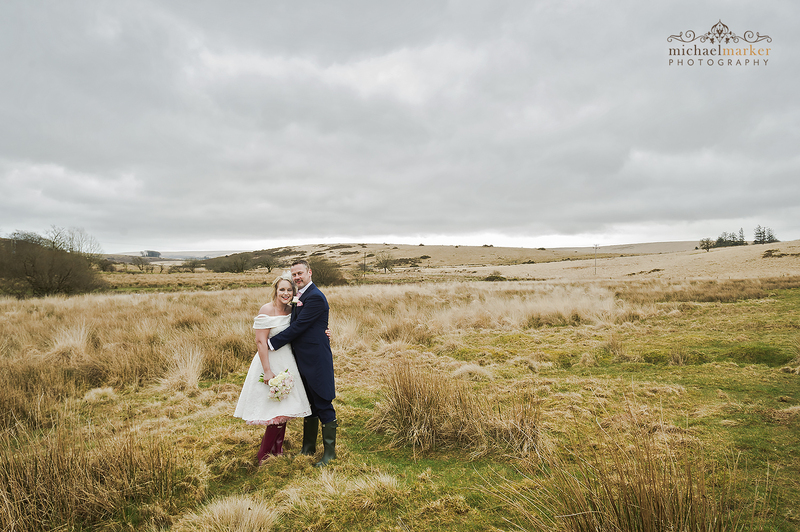 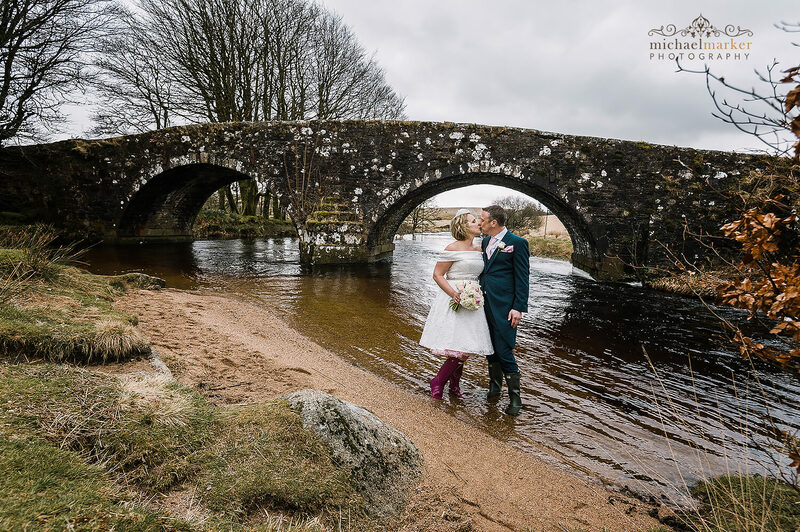 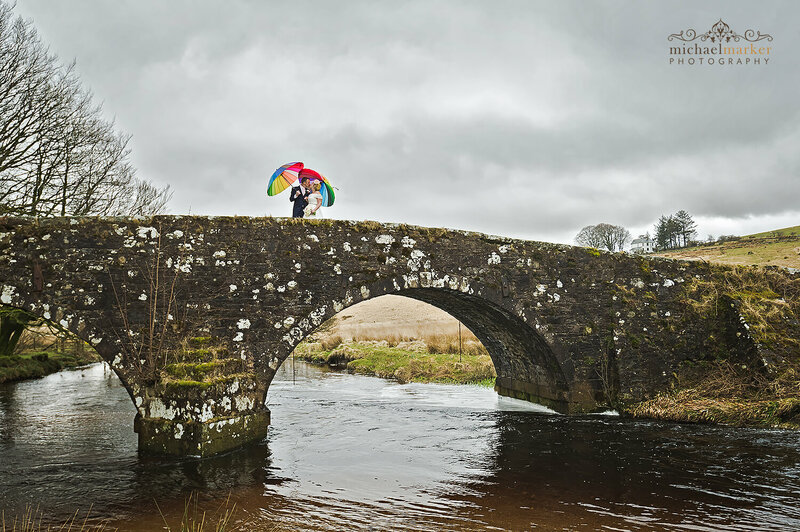 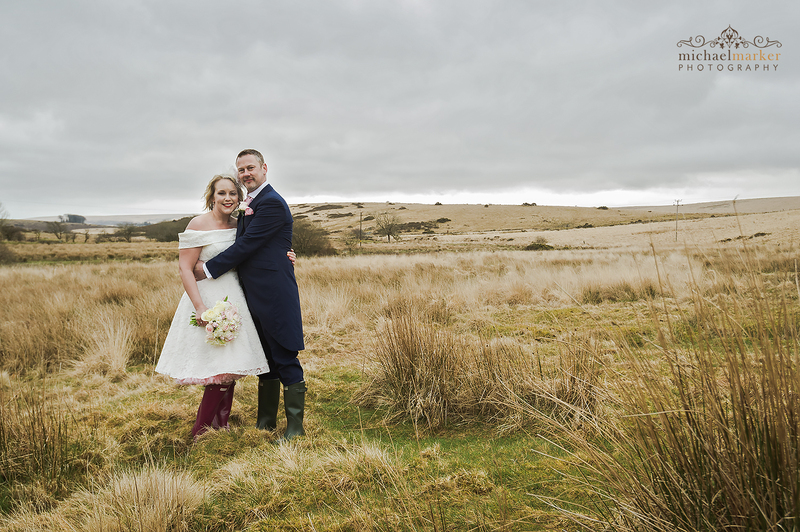 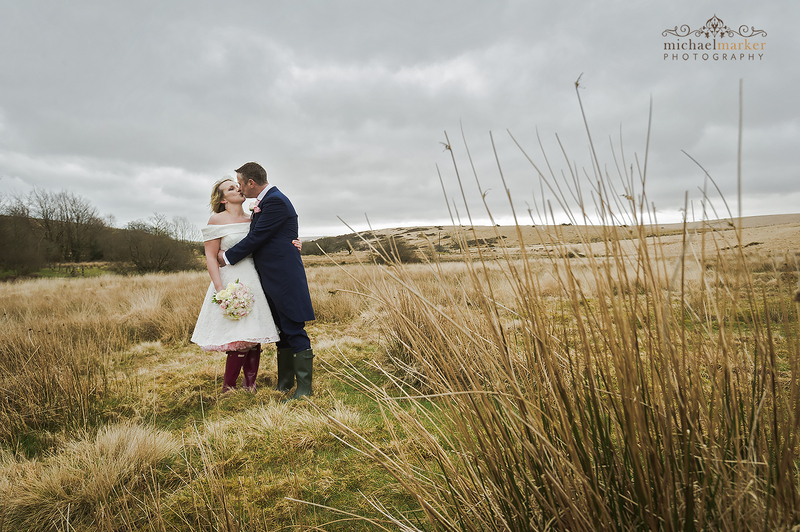 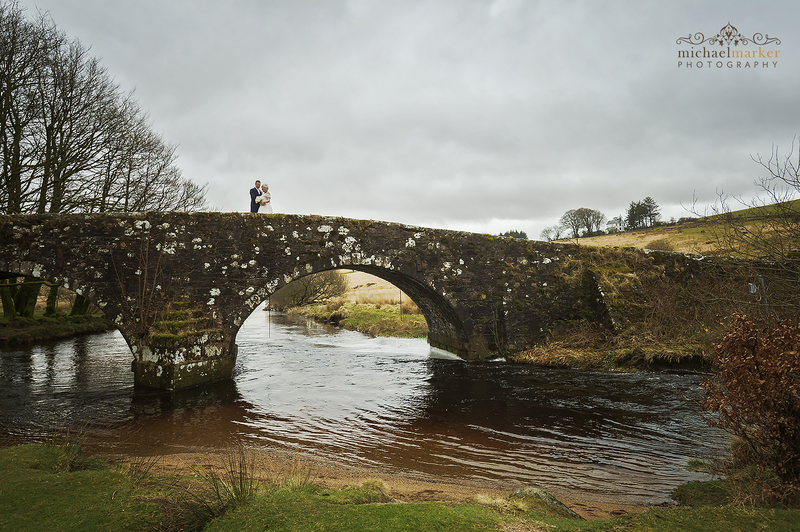 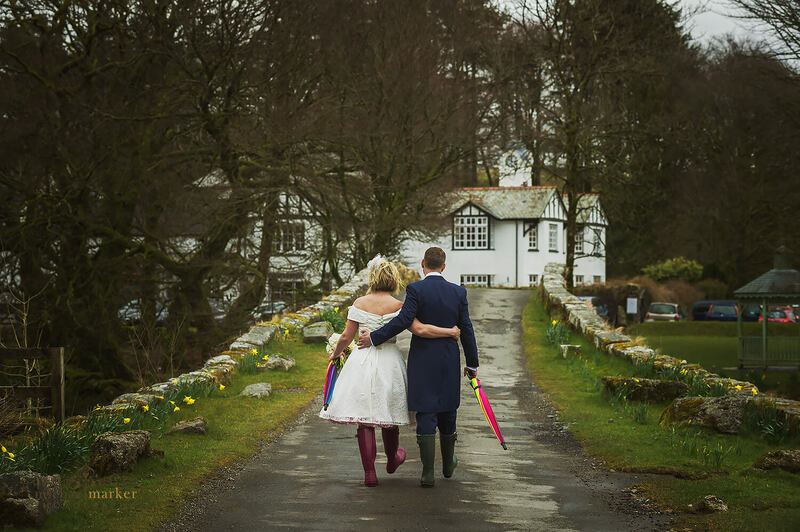 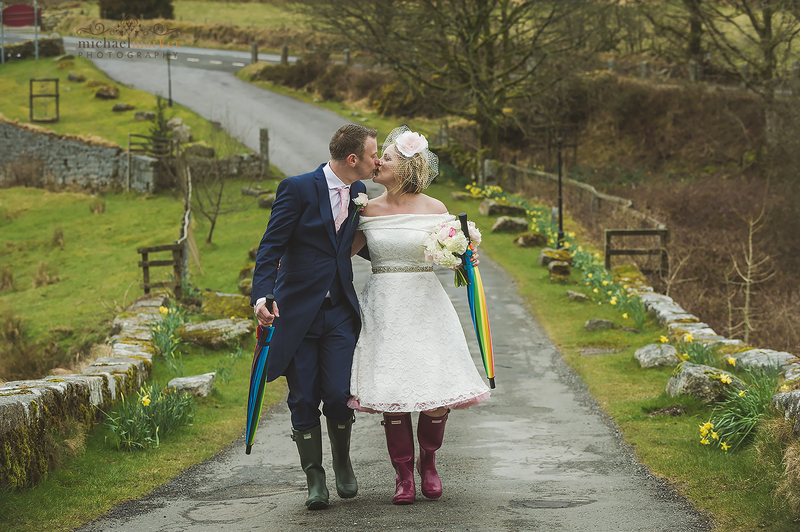 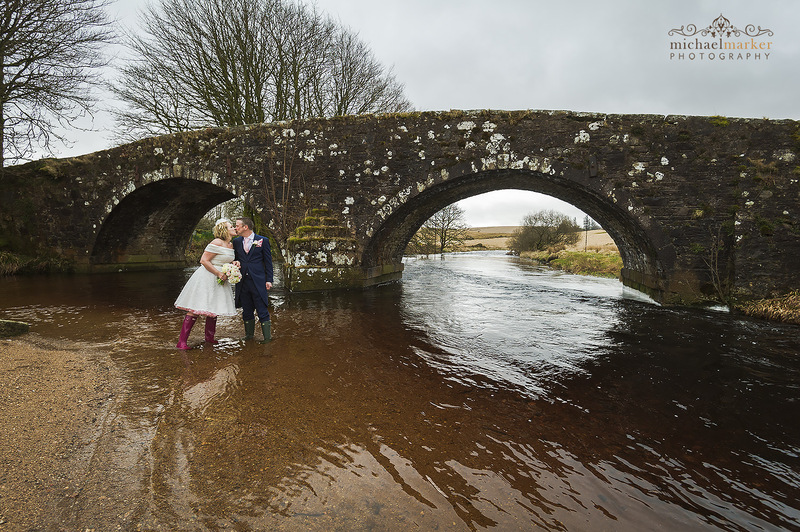 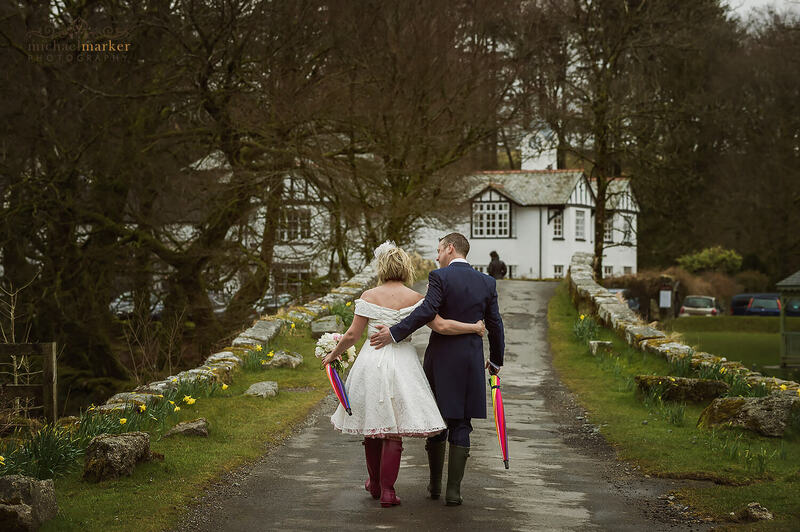 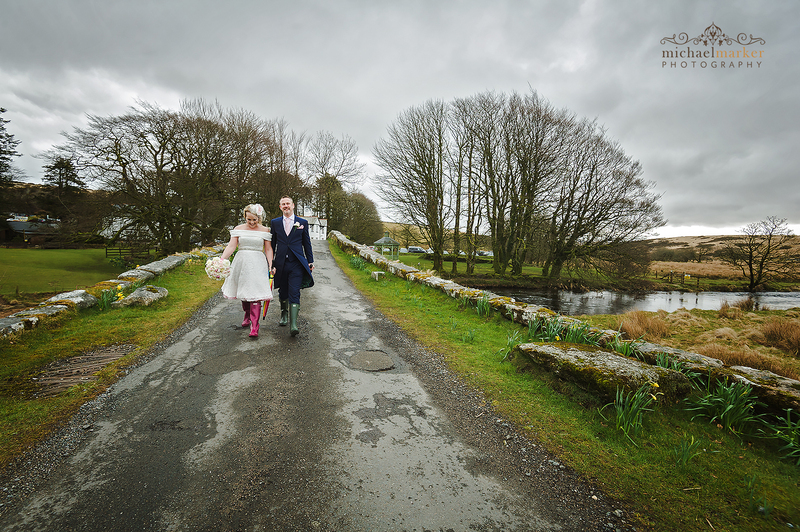 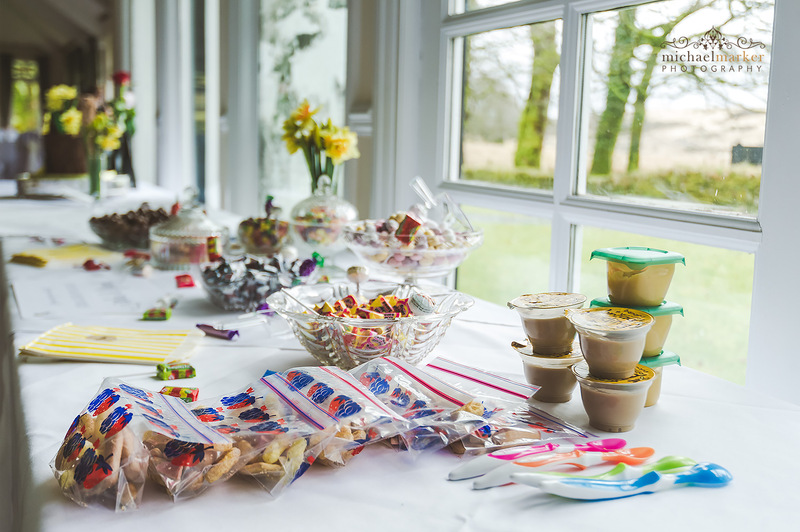 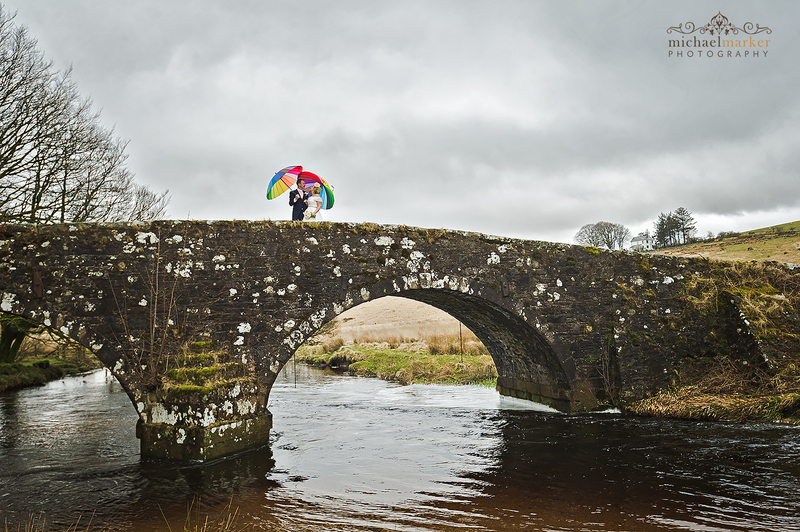 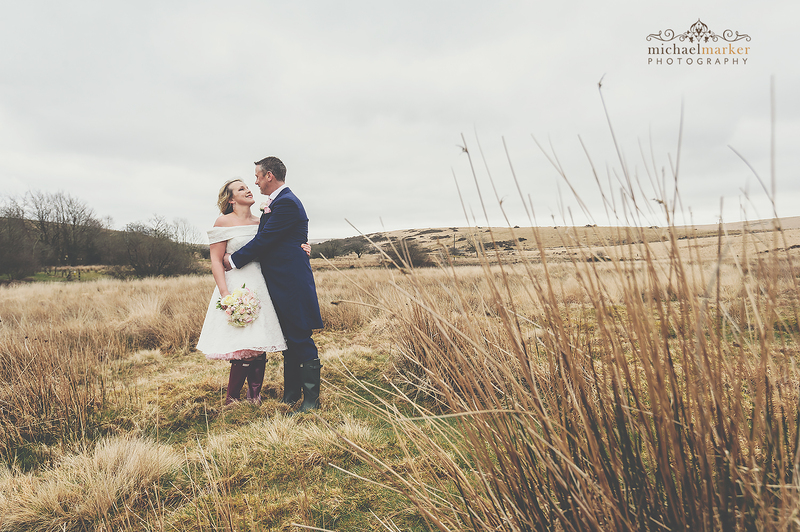 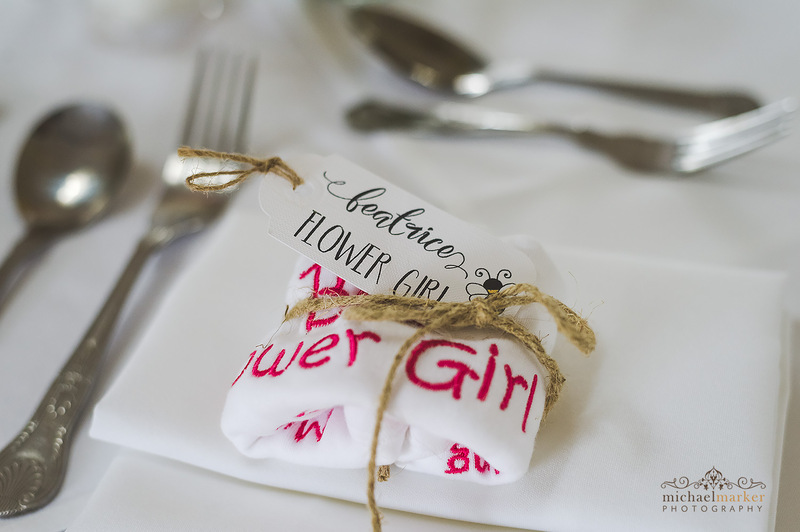 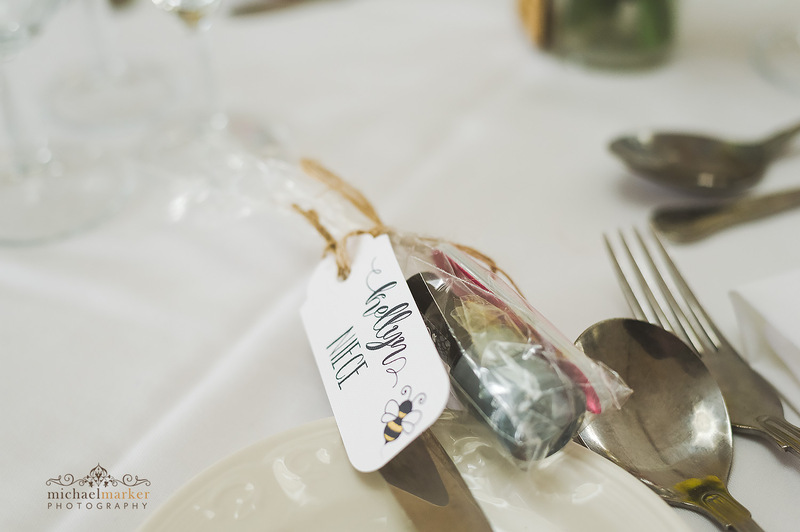 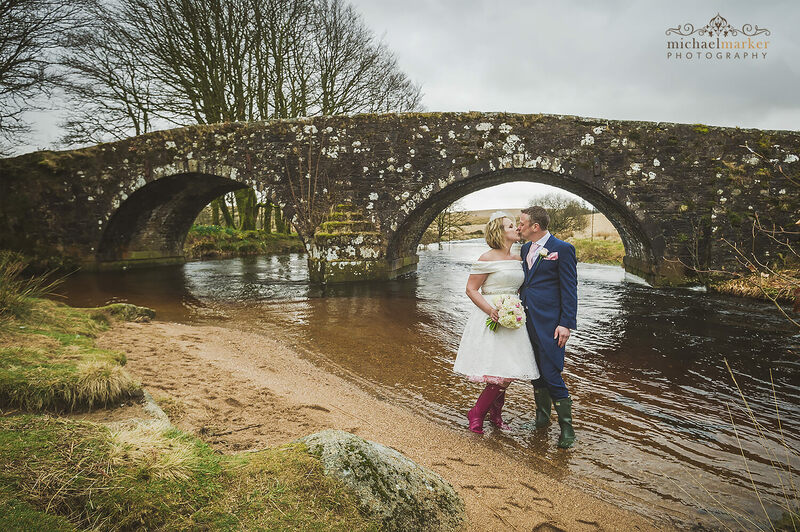 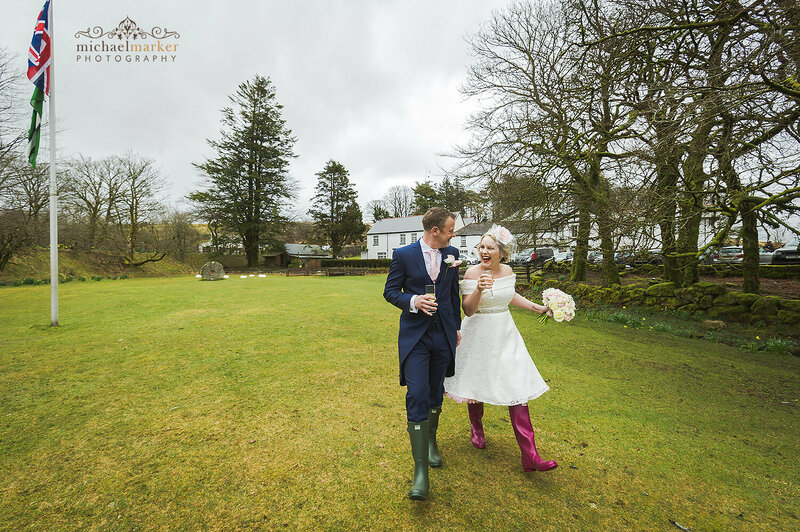 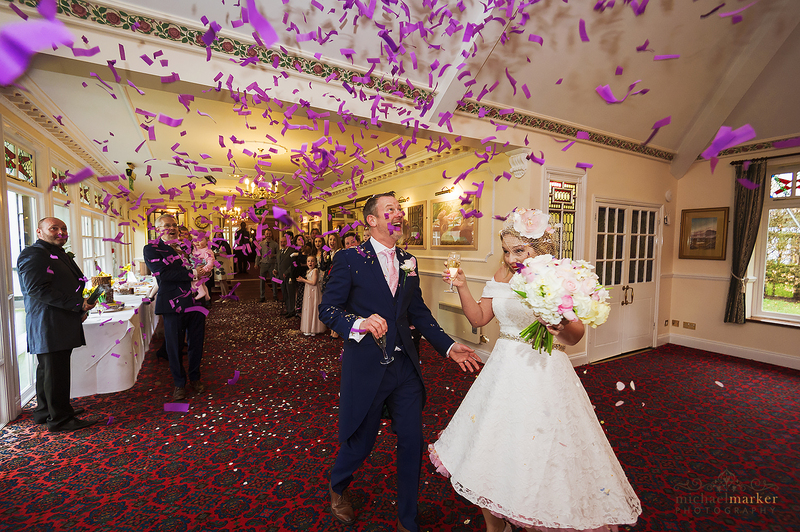 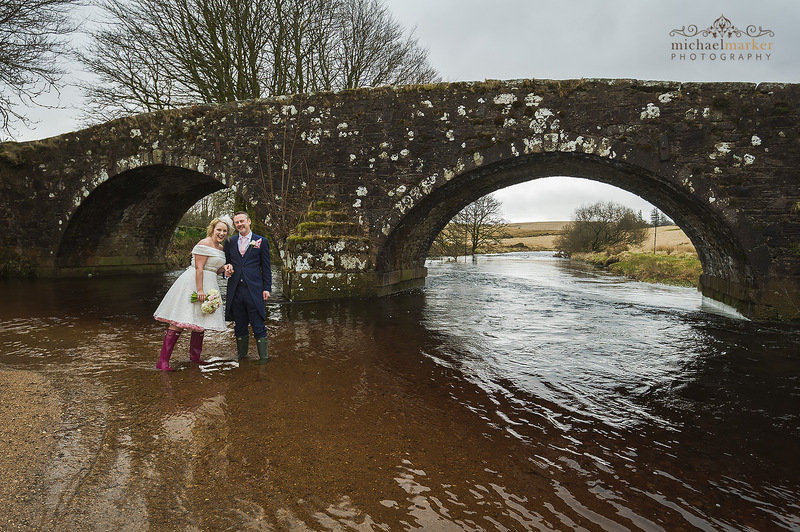 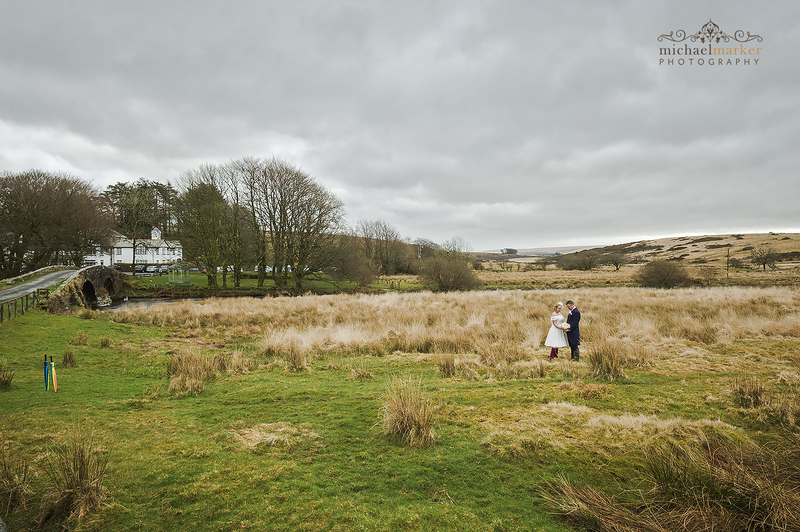 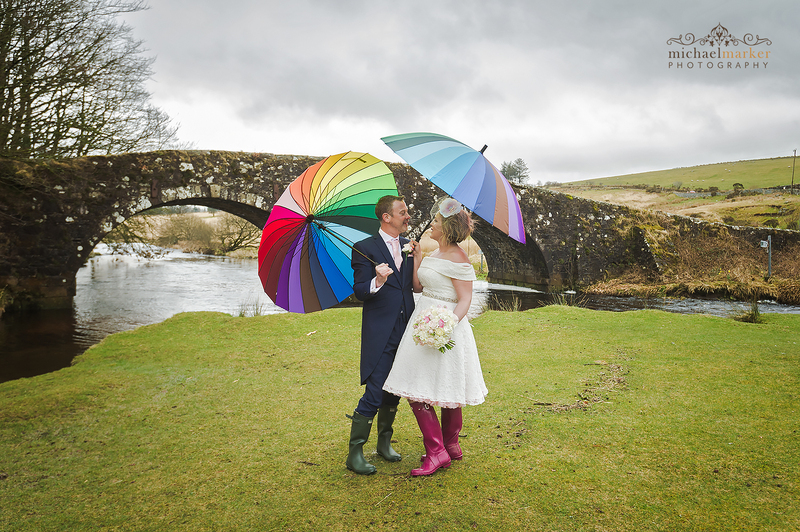 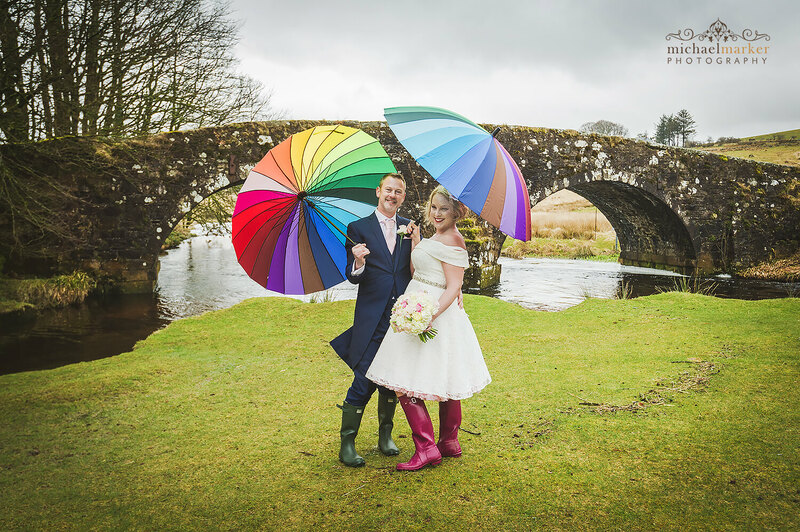 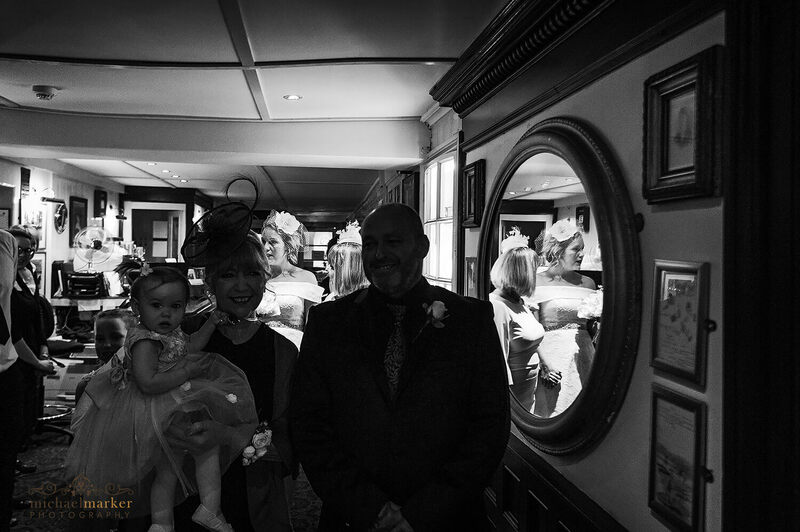 Beautiful Spring Two Bridges Hotel wedding – Dartmoor at it’s best. 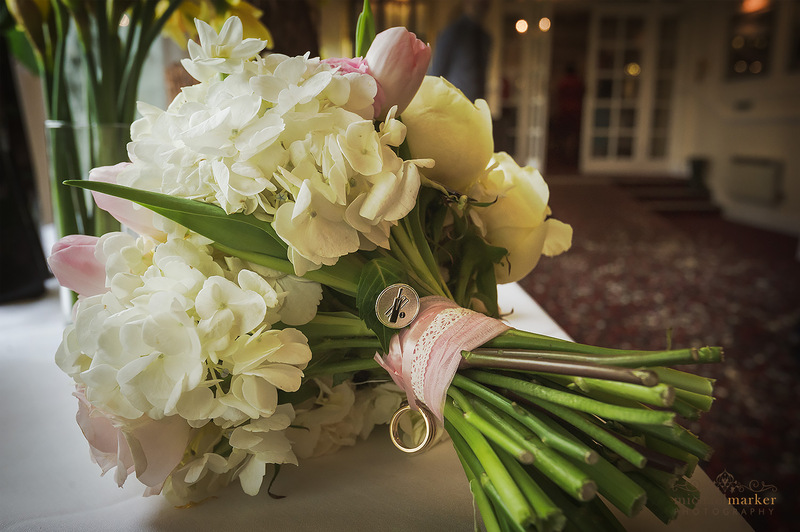 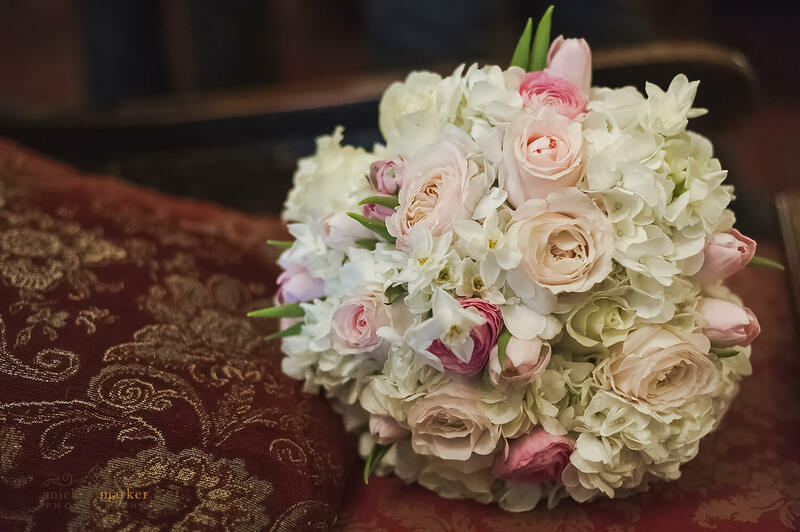 I have a beautiful Spring Two Bridges Hotel wedding to share with you all. 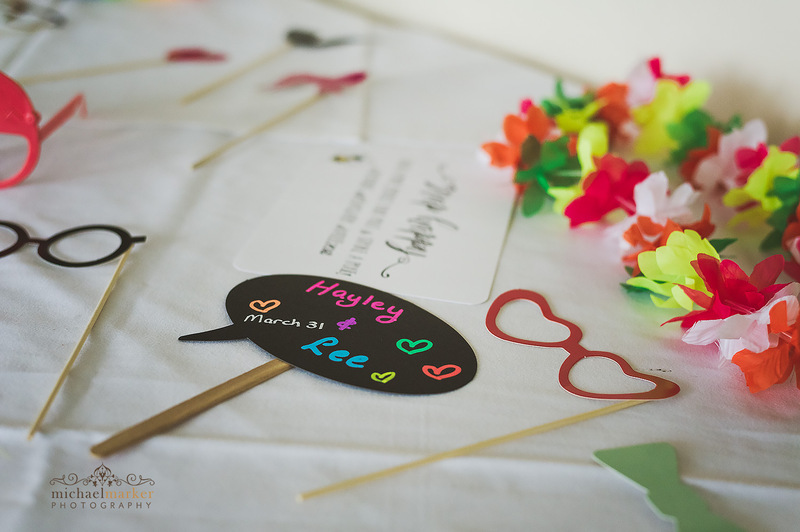 What a lovely fun loving couple Hayley and Lee were. 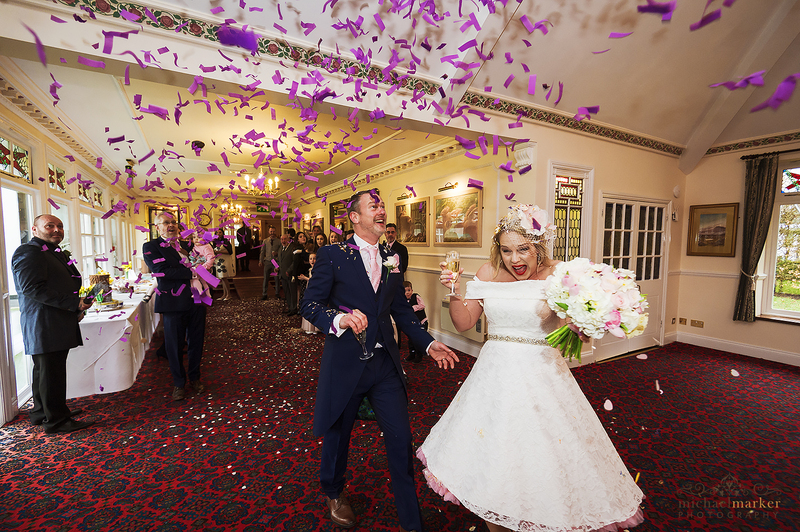 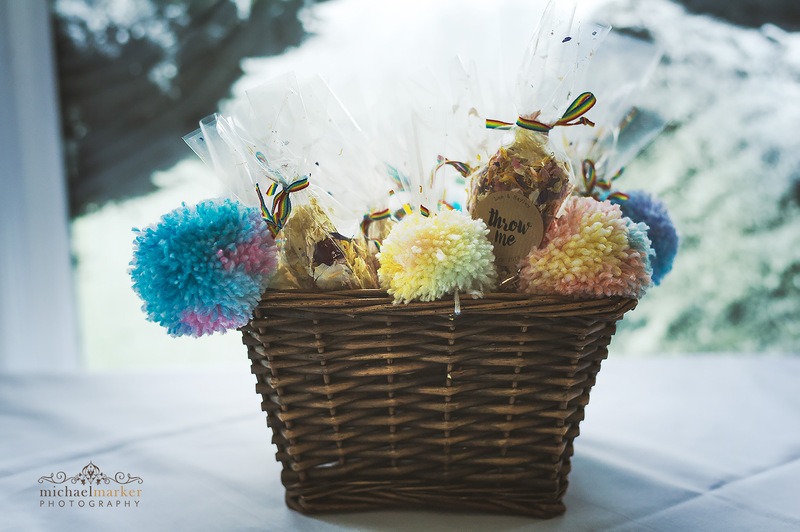 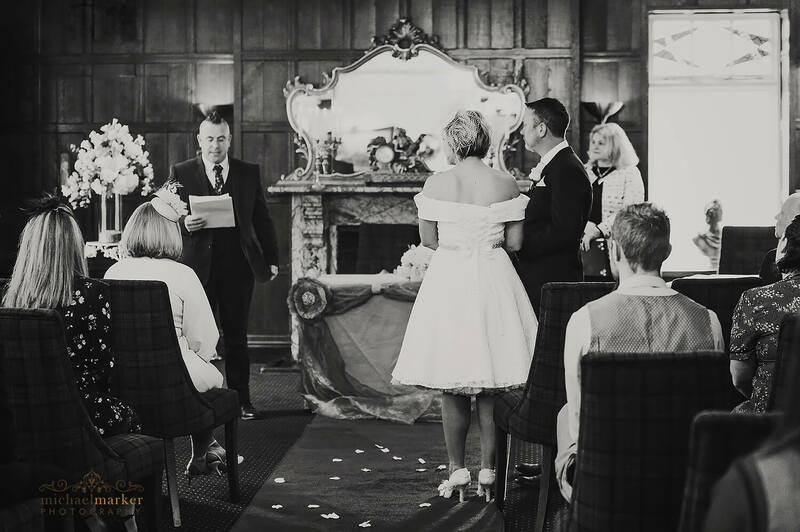 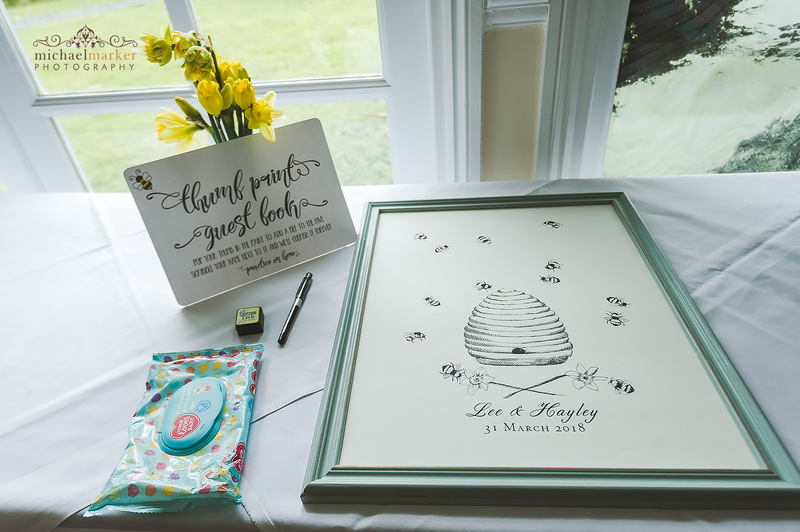 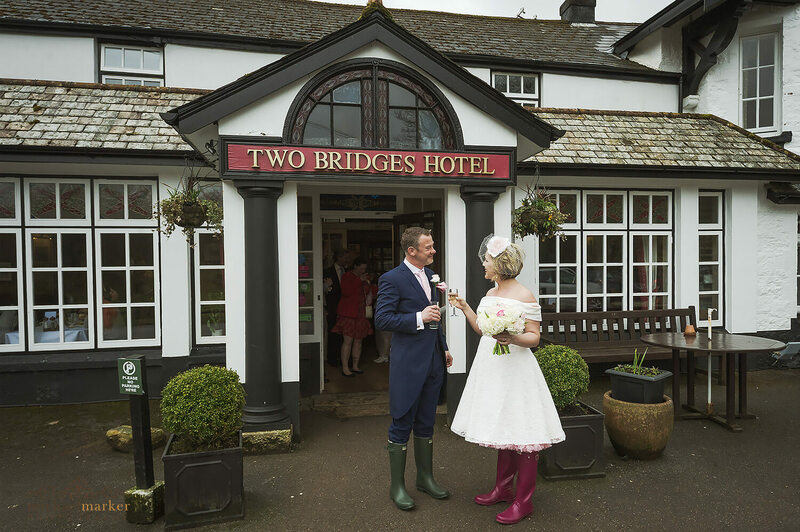 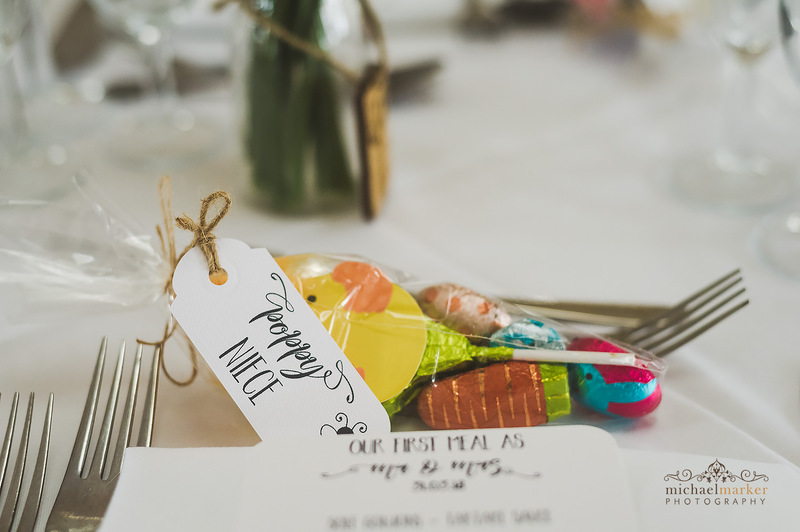 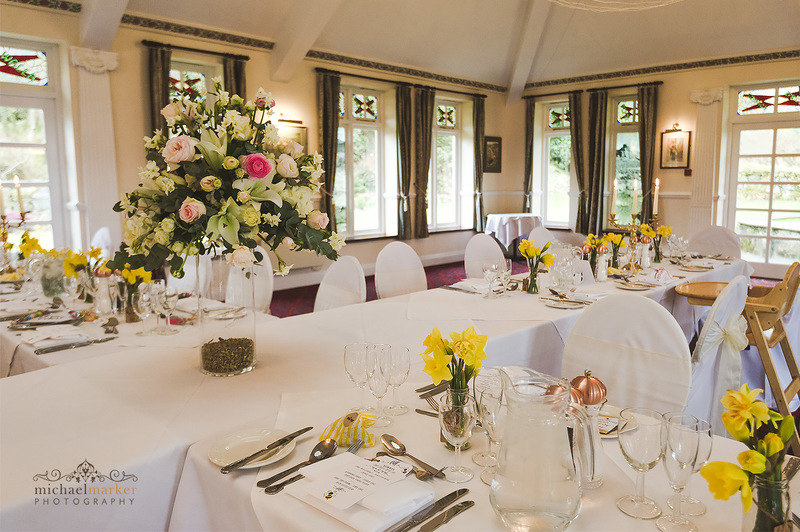 They had chosen the romantic location of Two Bridges Hotel in the middle of Dartmoor for their Easter themed wedding day. 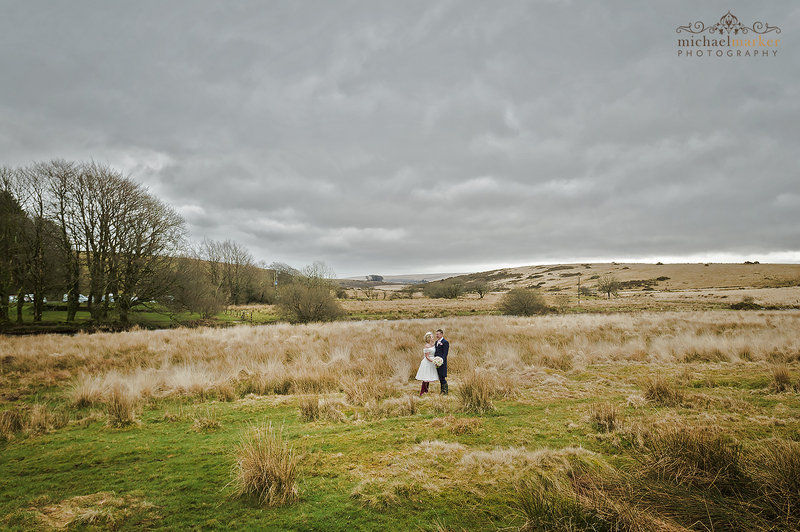 Dartmoor can be a fickle beauty and the weather forecast as ever was very mixed! 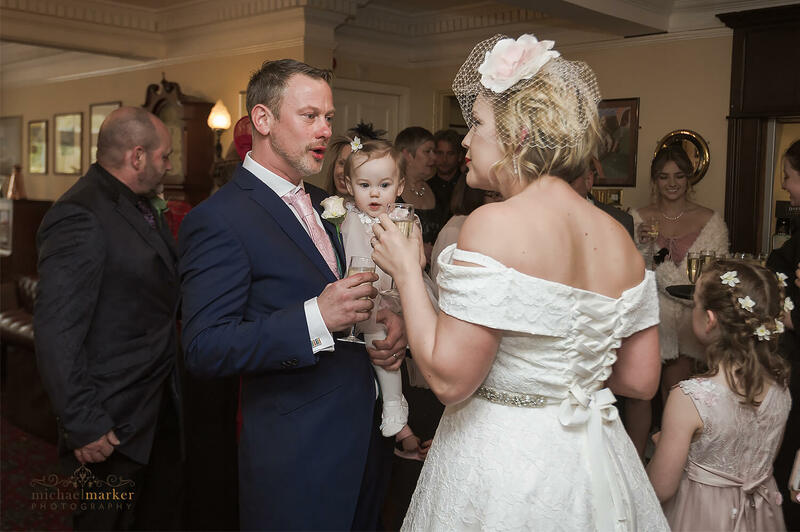 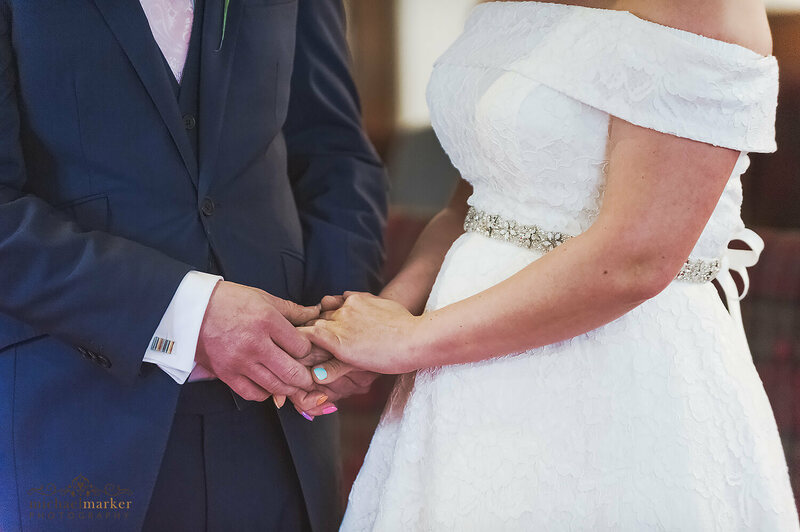 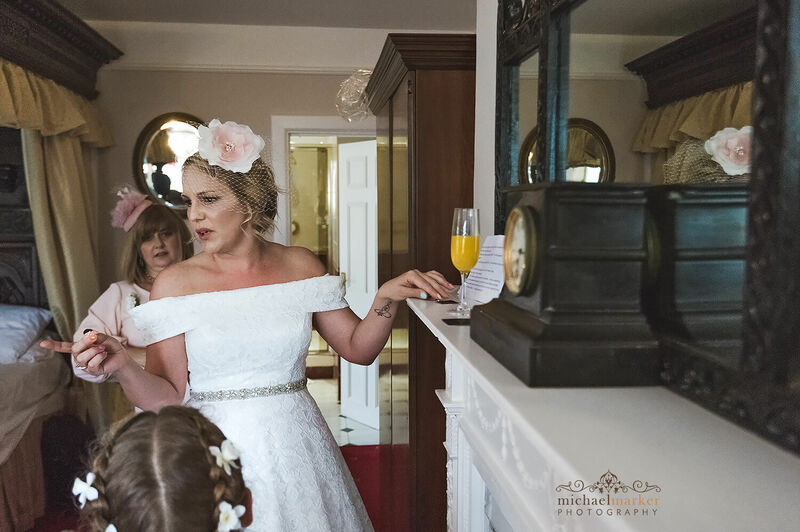 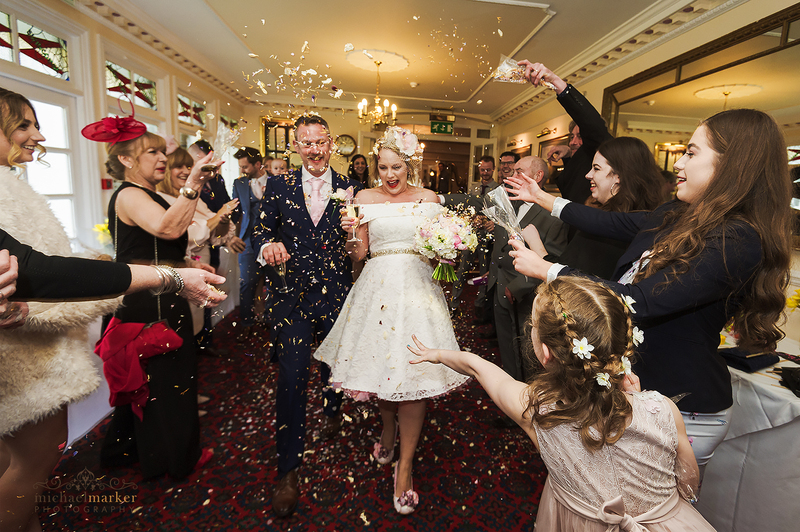 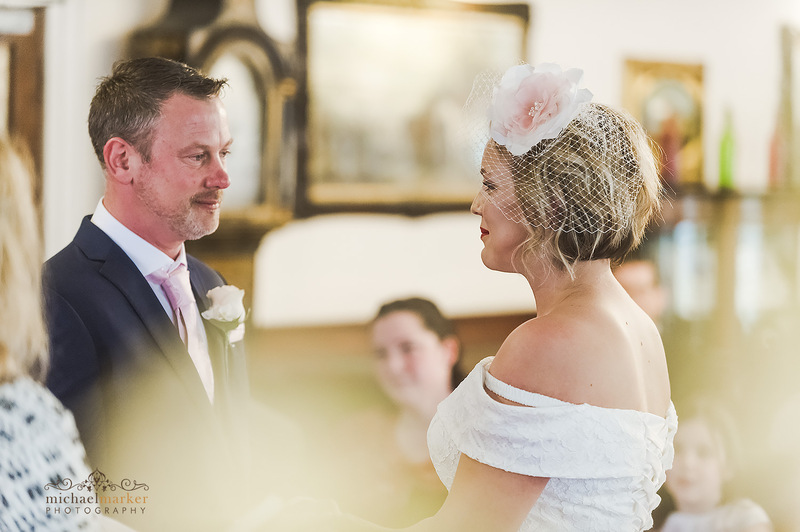 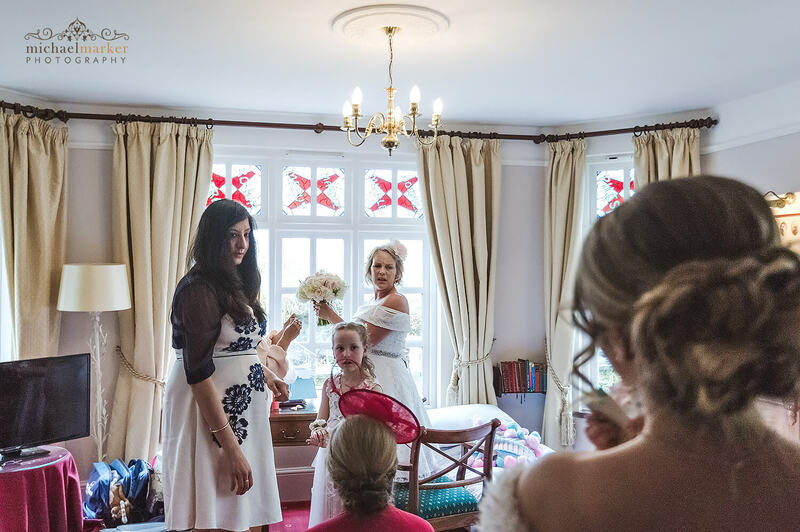 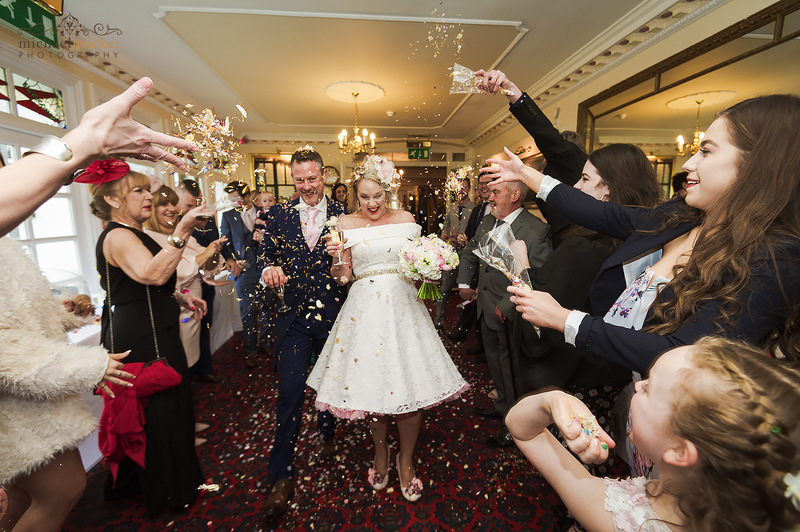 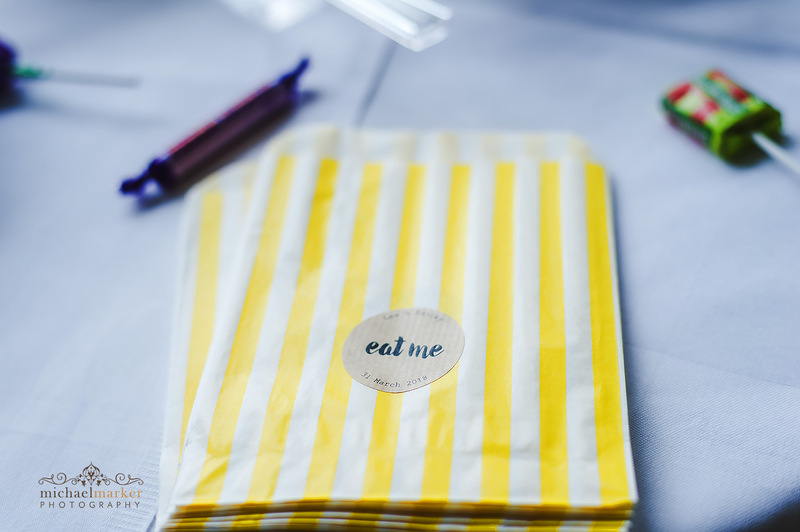 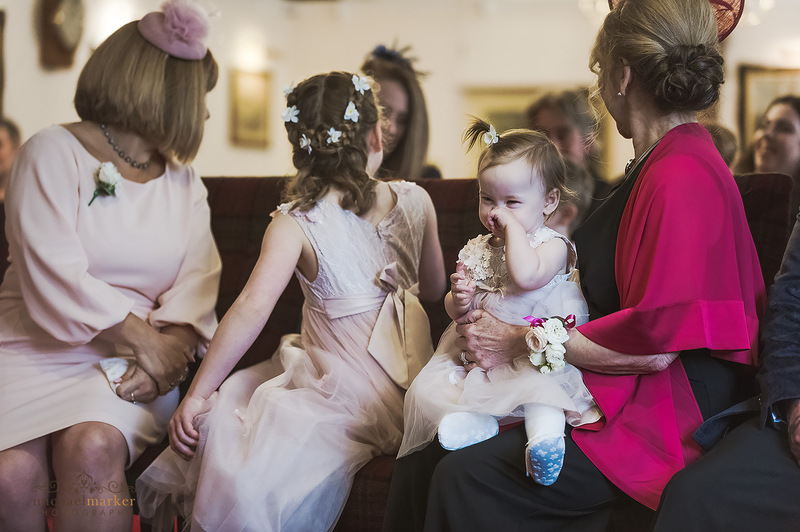 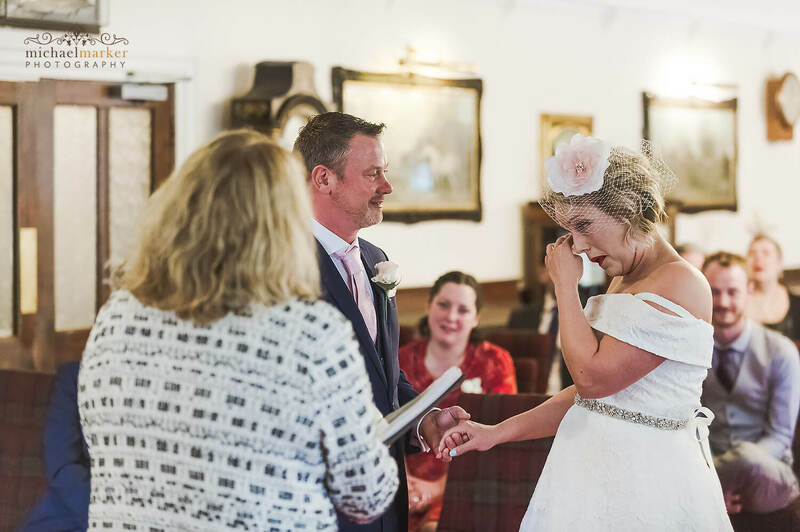 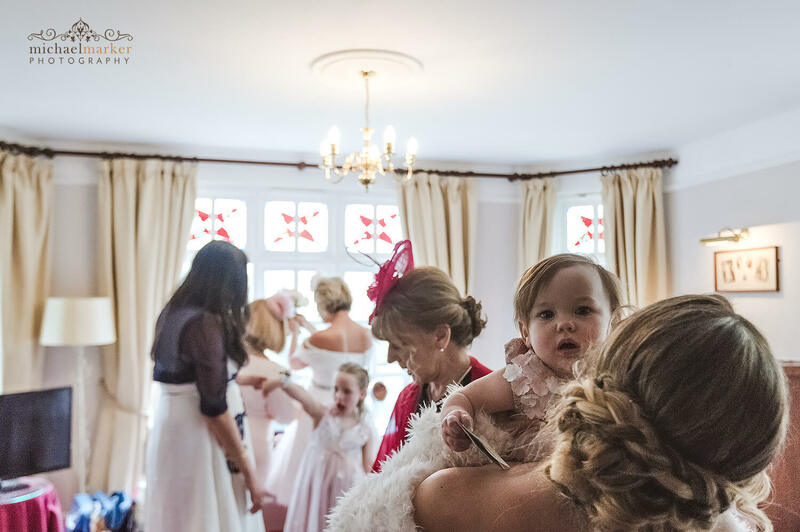 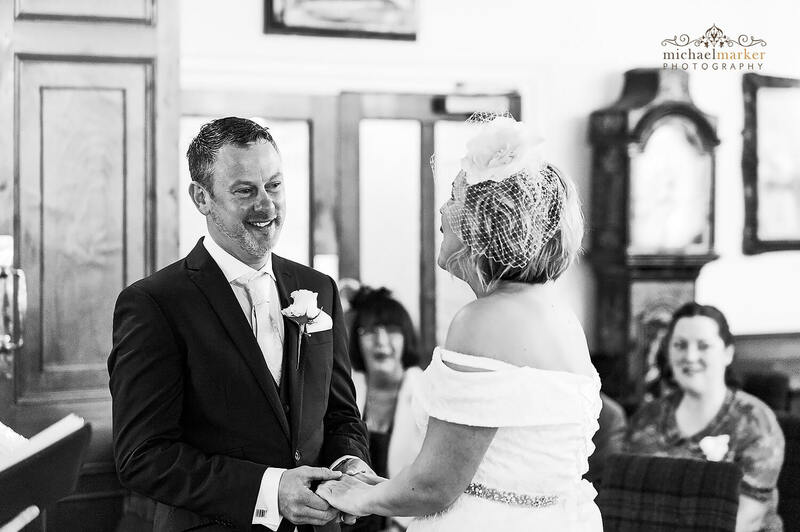 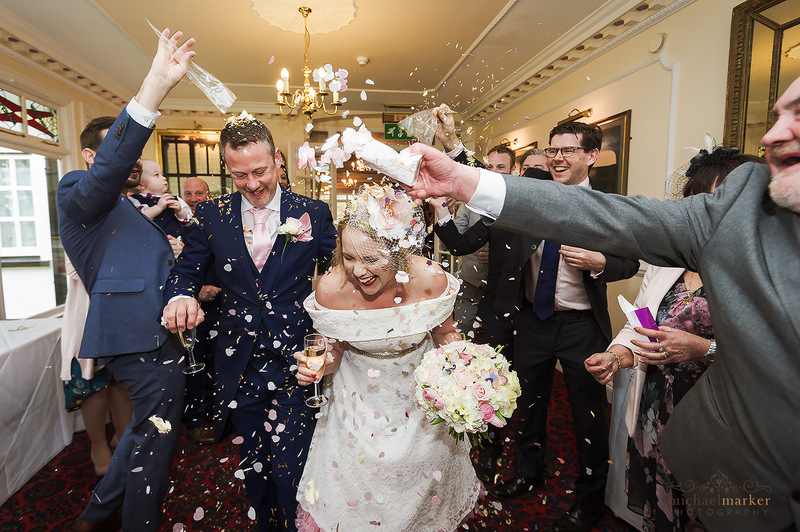 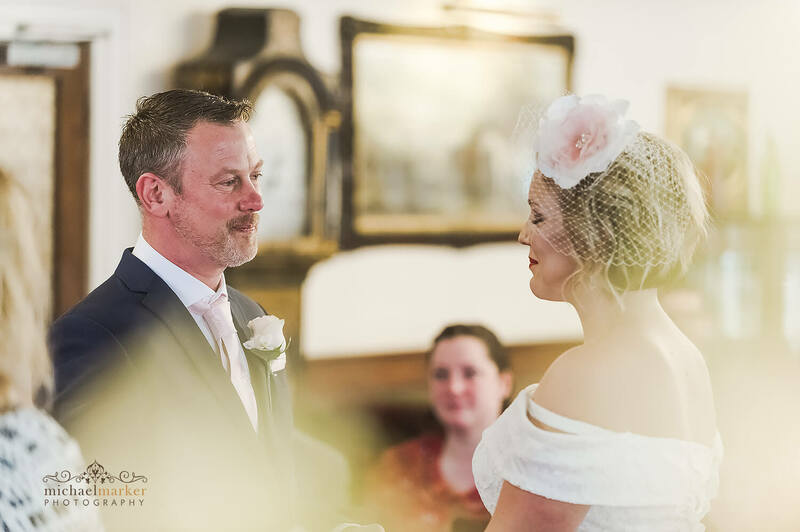 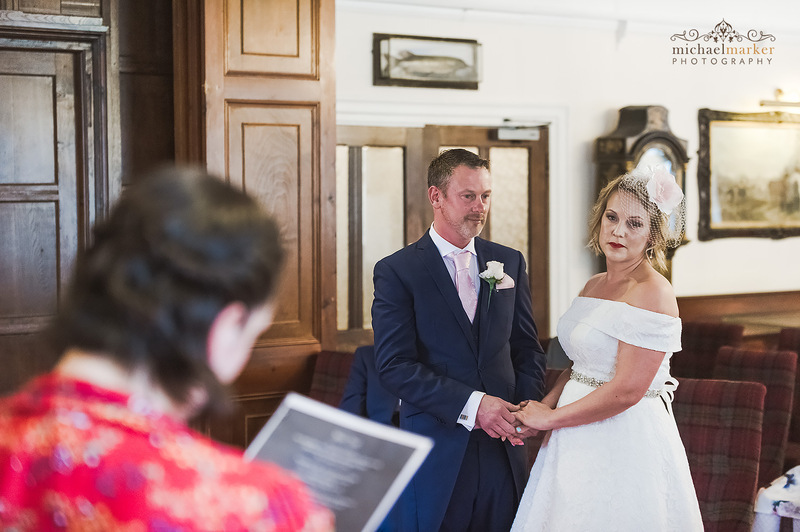 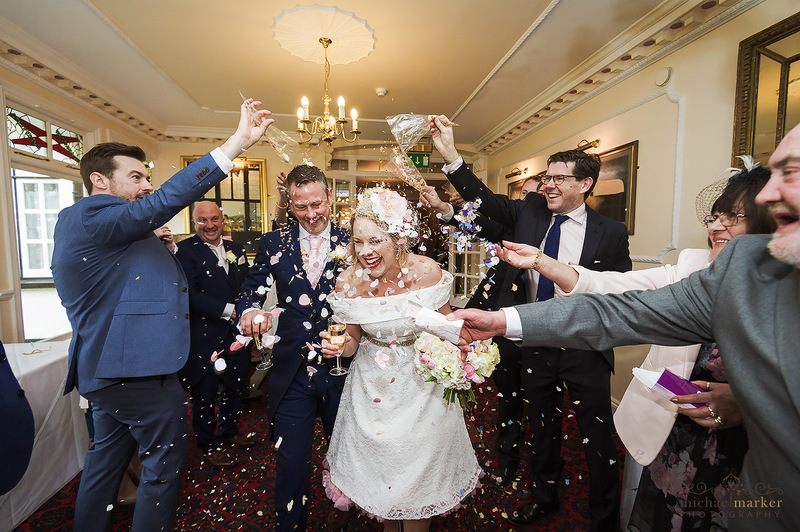 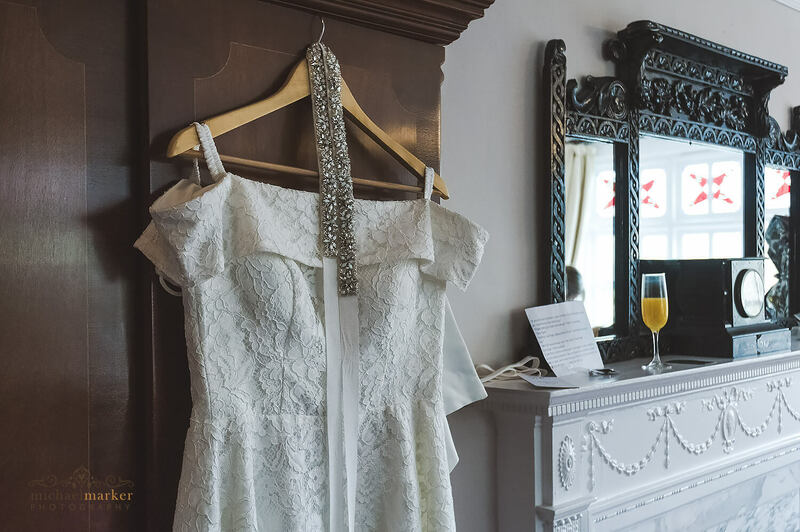 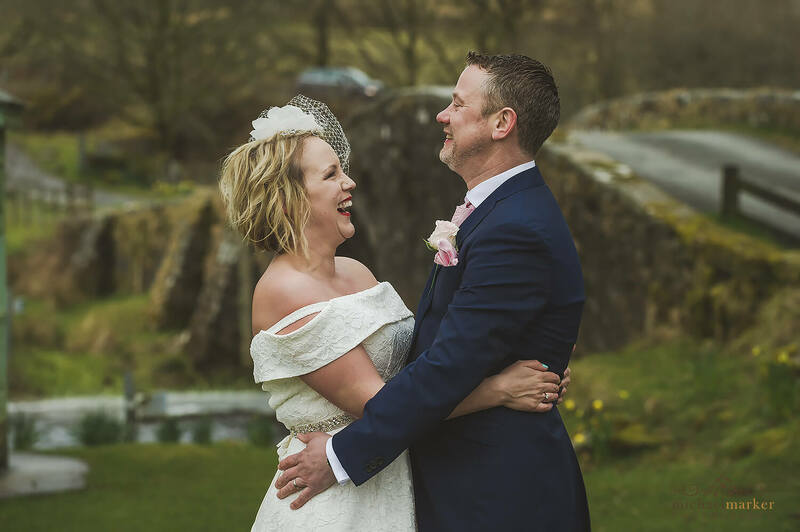 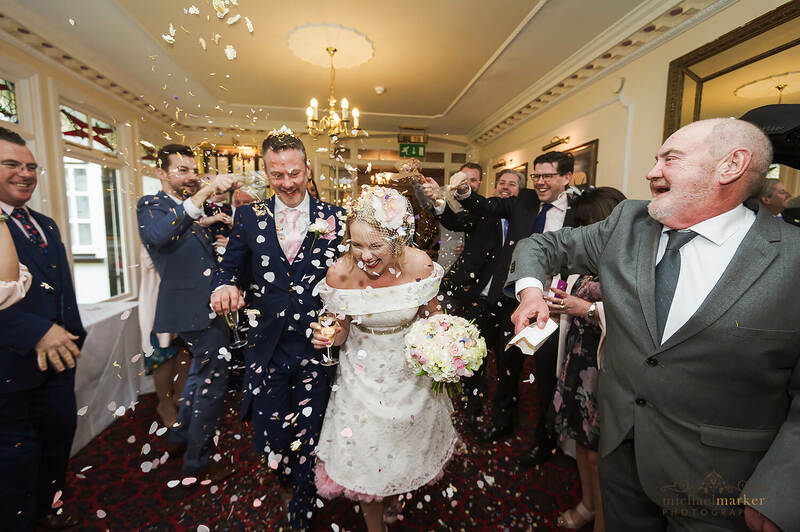 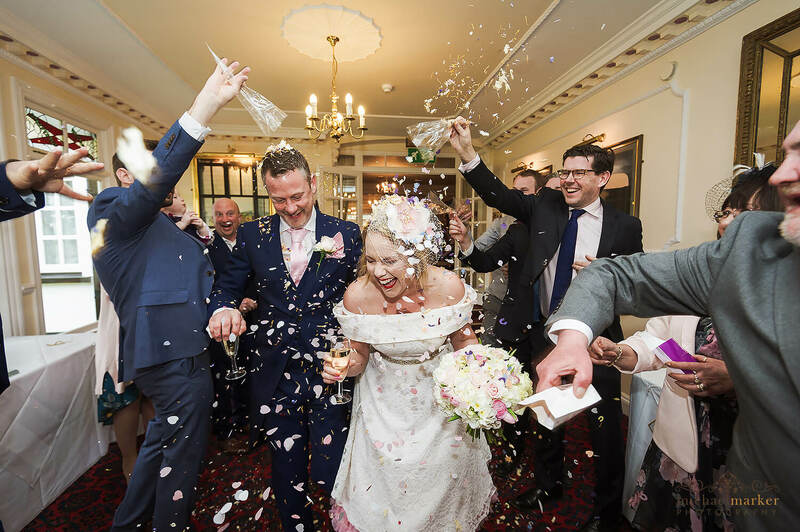 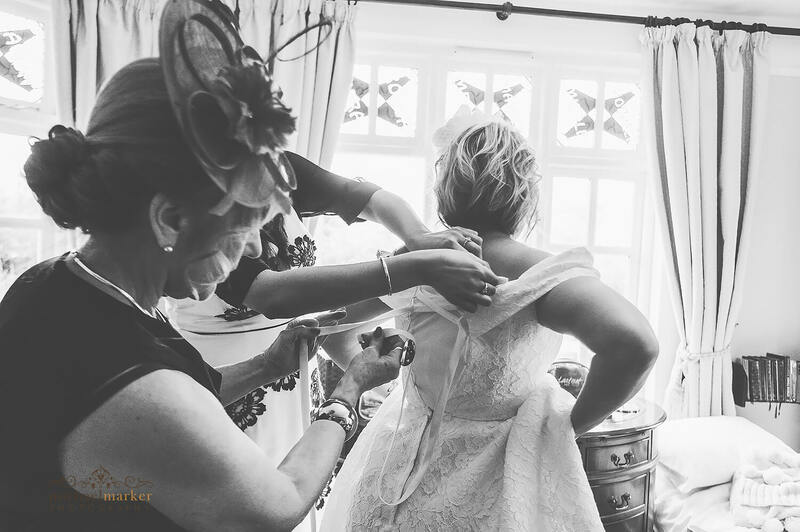 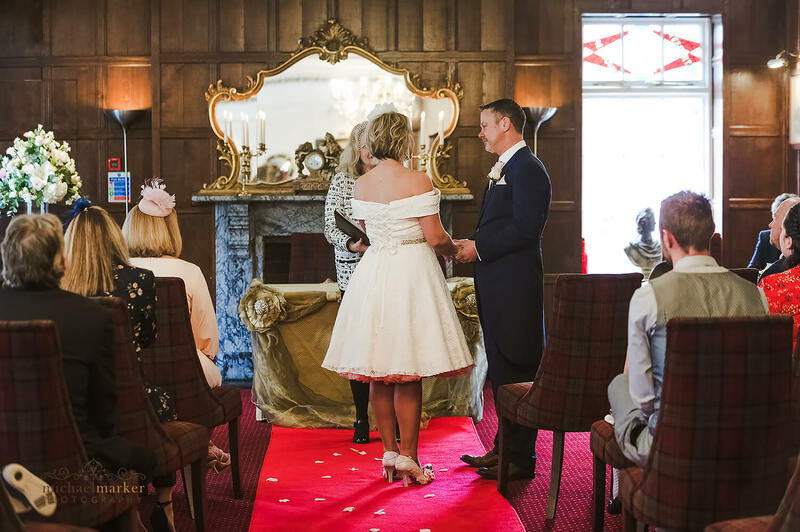 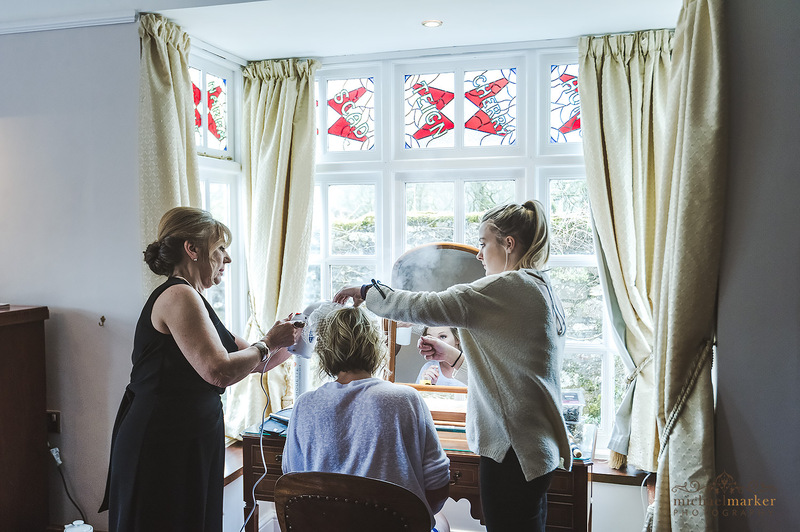 Hayley looked stunning in her fifties inspired wedding dress and the getting ready preparations were relaxed and always a few funny moments thrown in when children are around! 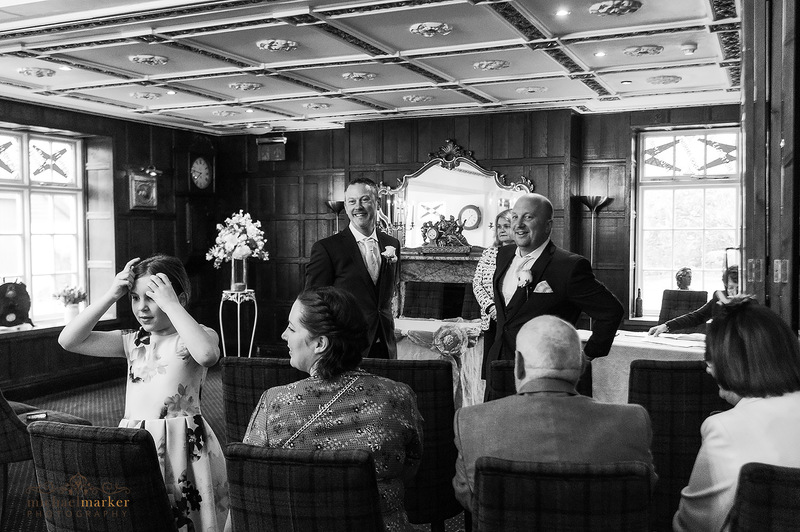 The last minute nerves started to show just before the indoor ceremony. 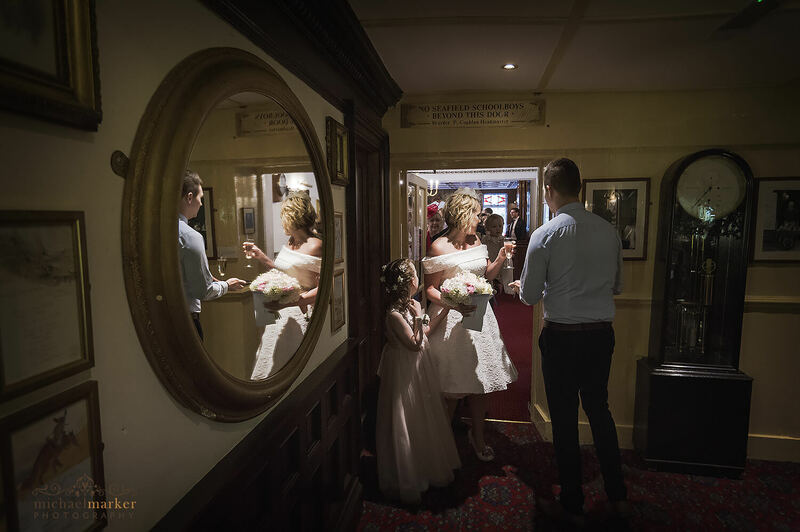 Her glamorous entrance certainly impressed Lee, whose loving look said a thousand words. 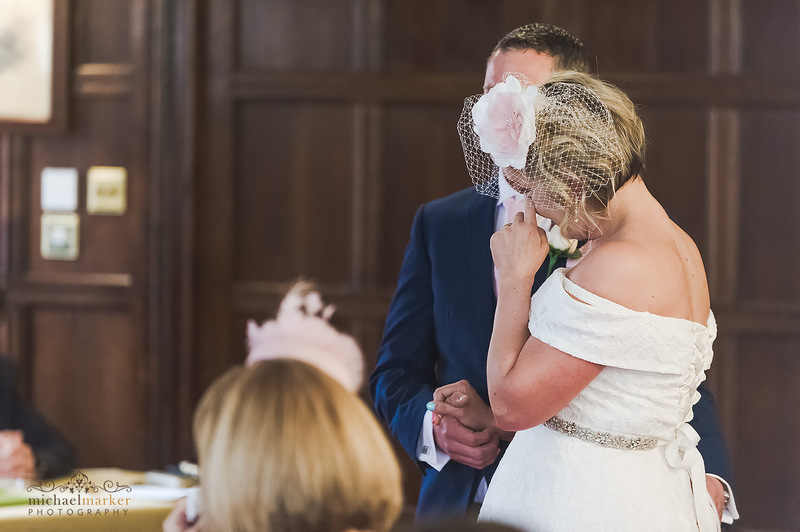 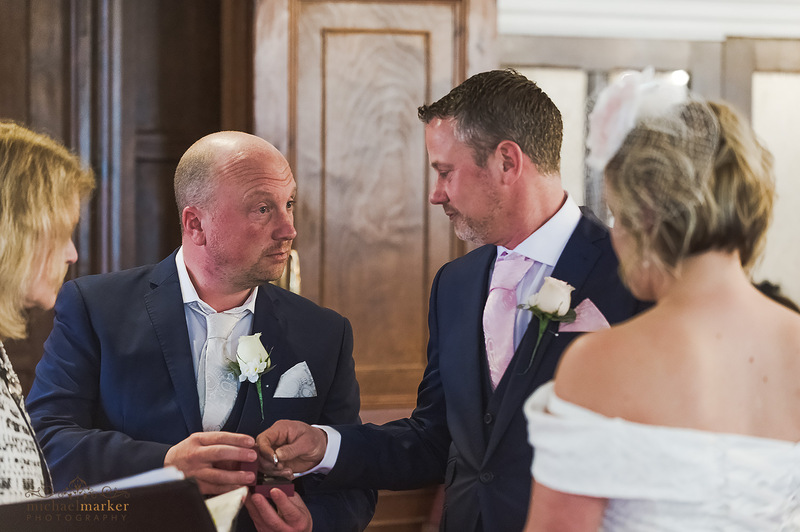 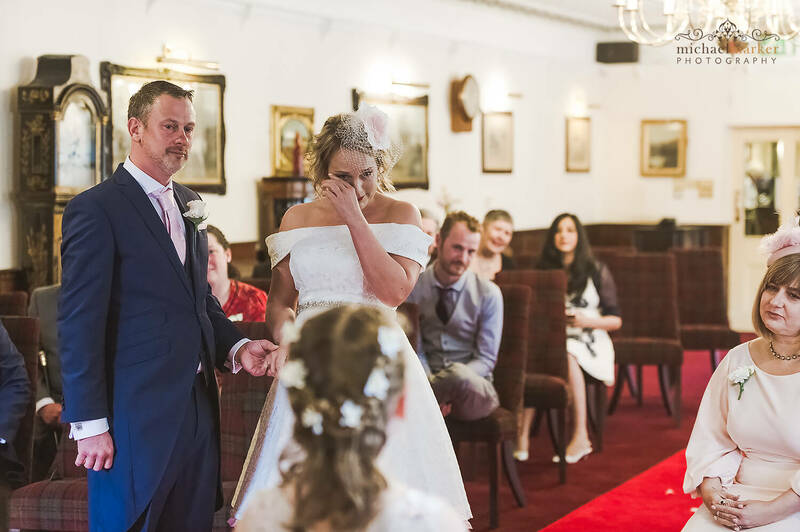 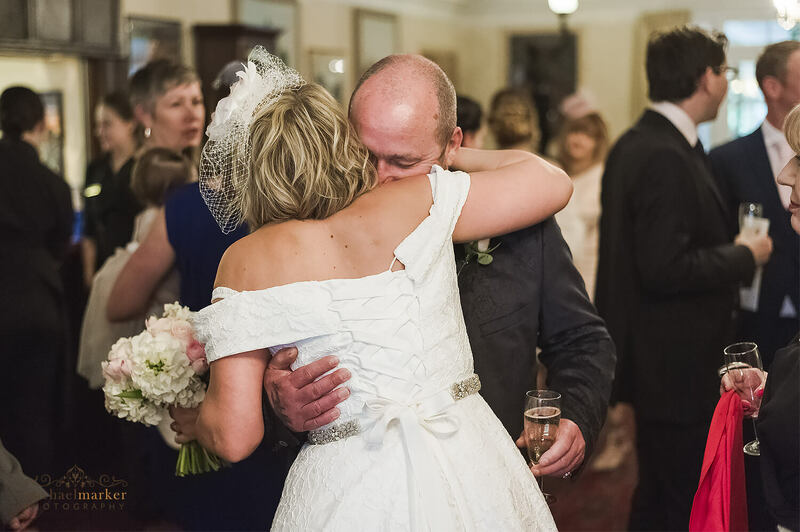 The ceremony was packed full of love and emotion – with plenty of tears too! 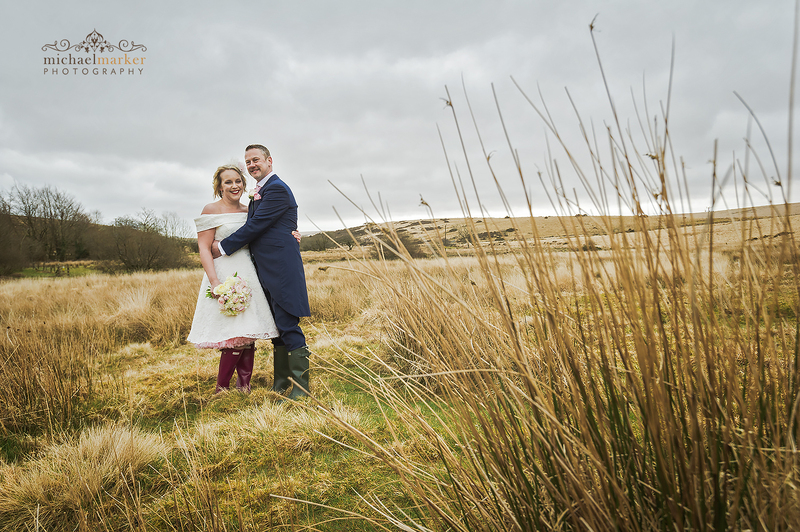 It was then on to the drinks reception and our chance to nip outside for some photos whilst the weather was behaving itself! 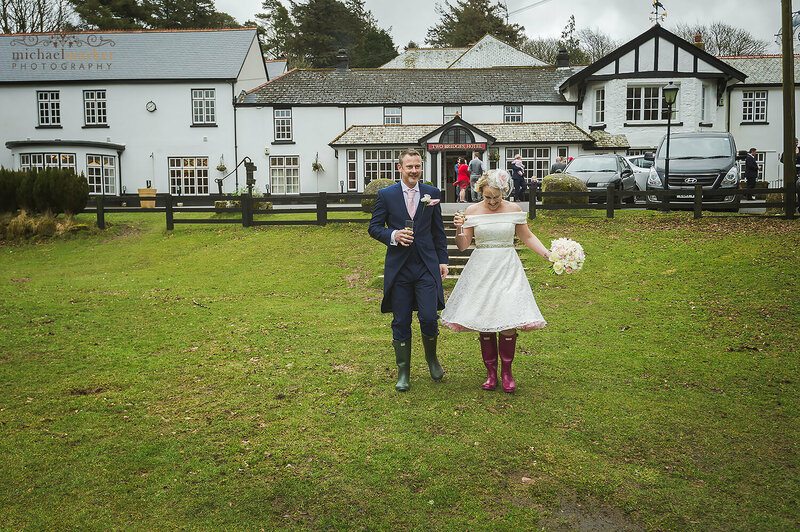 Fully prepared with wellies we headed for the river. 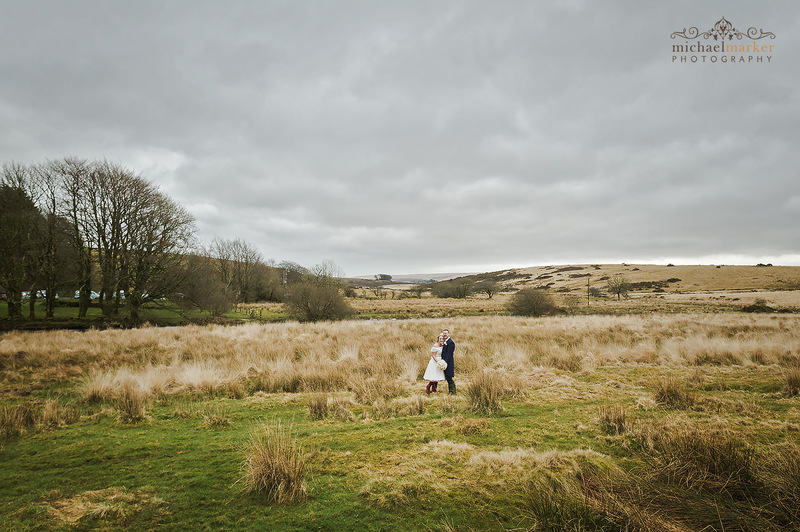 After a few shots we headed to one of the fields surrounding the hotel. 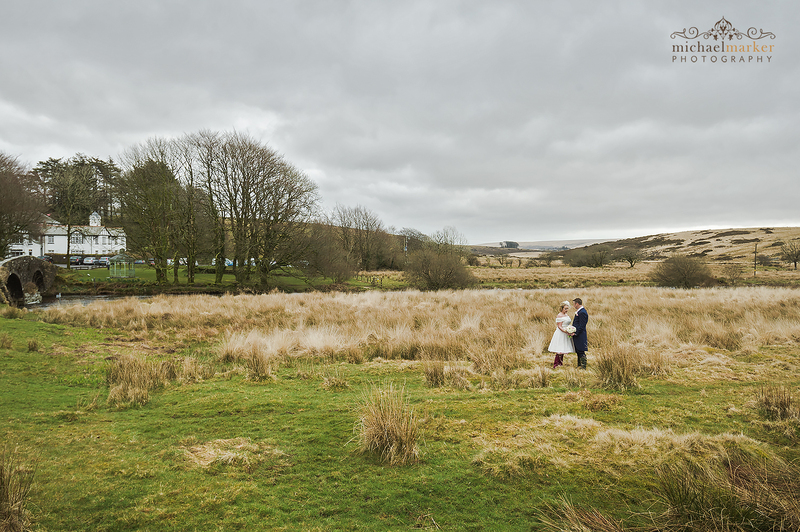 The view down through the valley is stunning no matter what the weather. 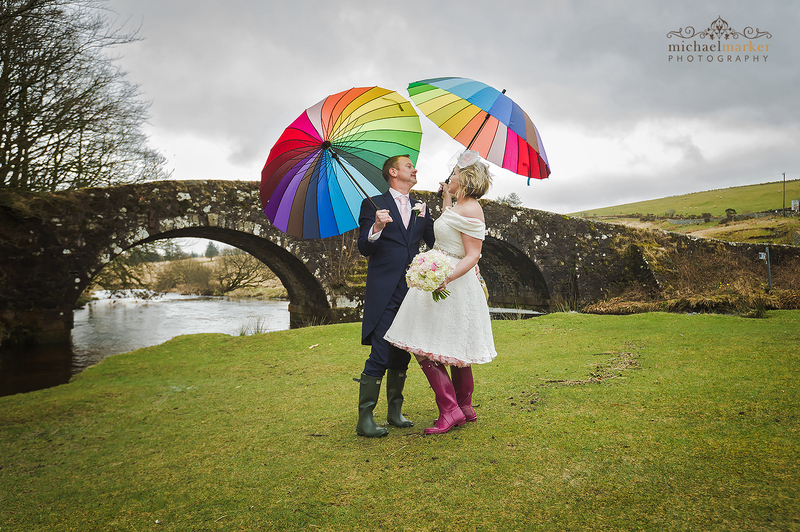 Even the colourful umbrellas made an appearance too! 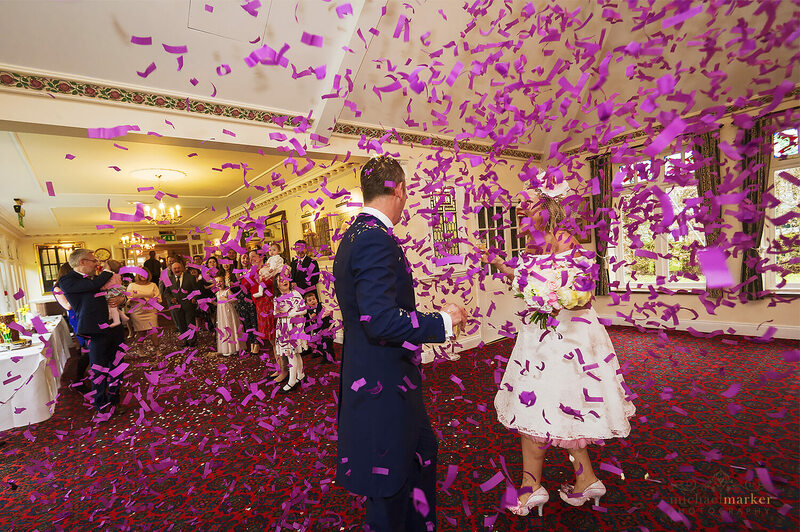 We then headed in for the confetti throwing and wedding breakfast. 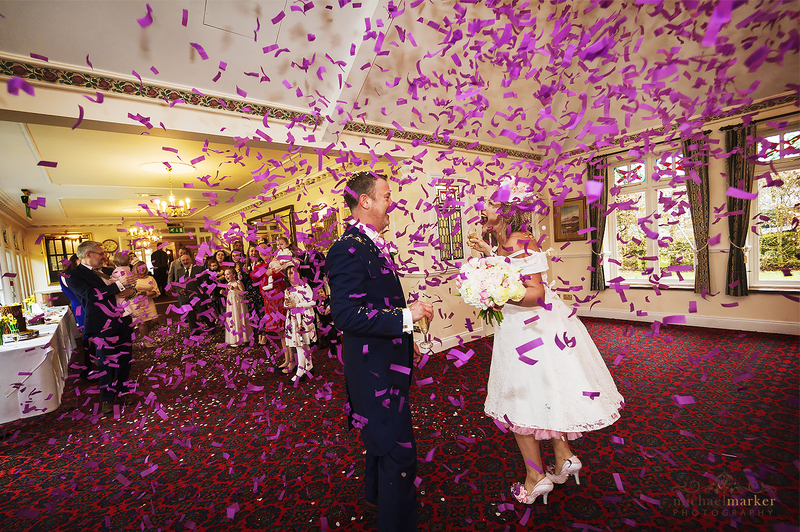 I love shooting confetti moments. 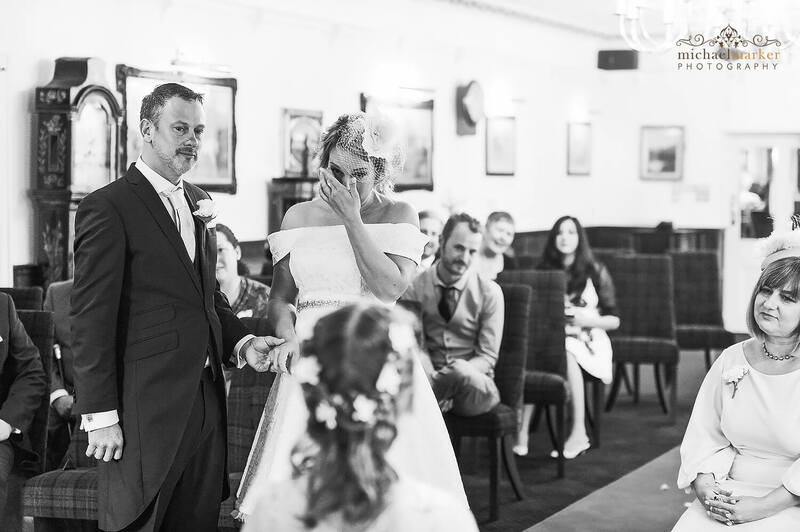 They are always unscripted for what I will capture. 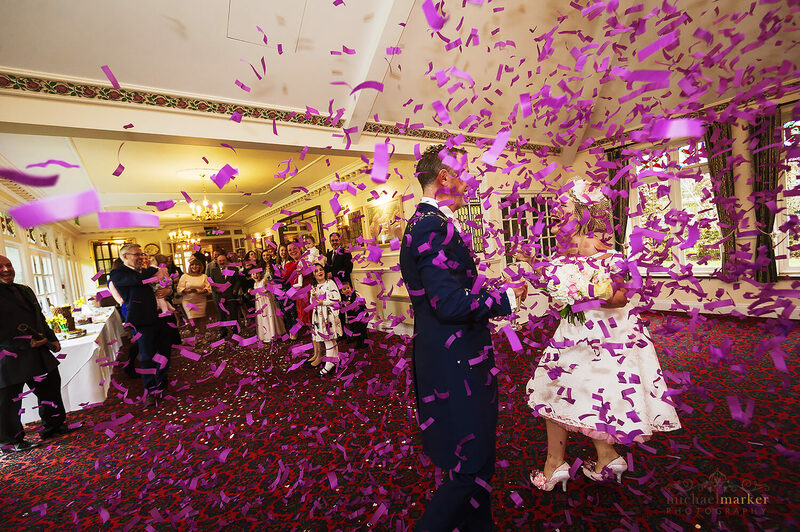 With a surprise confetti cannon on the cards even more so! 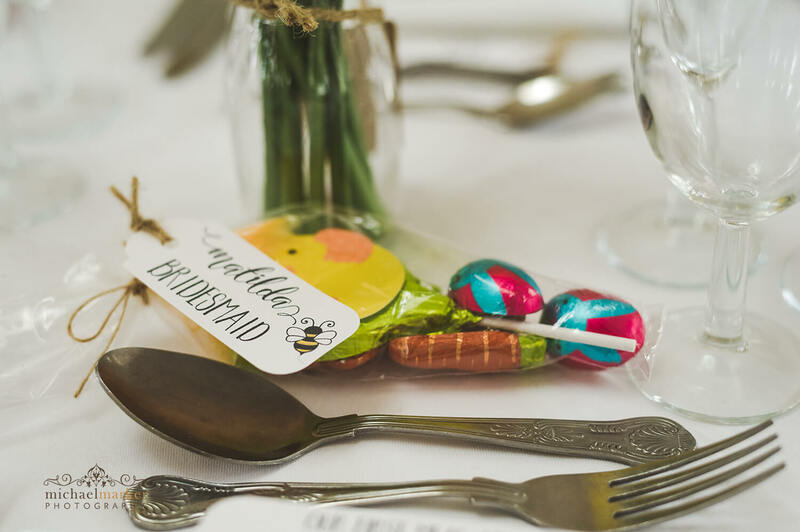 The theme for the wedding day was Easter inspired. 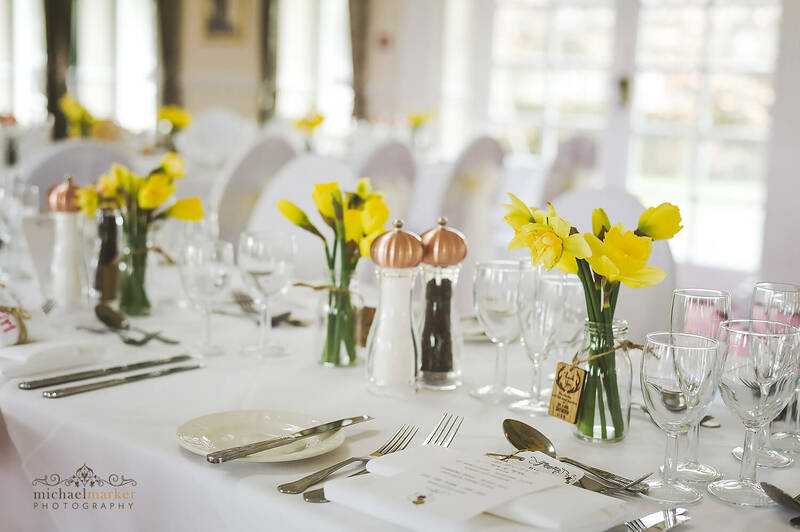 The tables were decorated with daffodils. 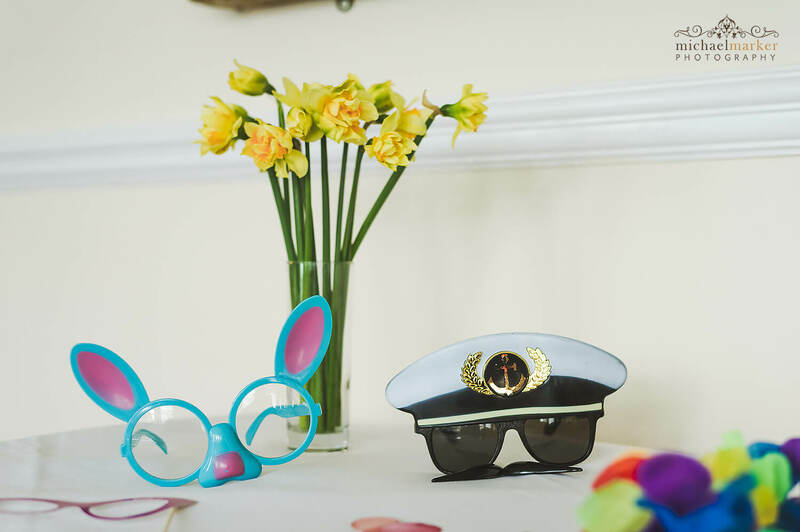 The photo booth props had plenty of rabbit masks. 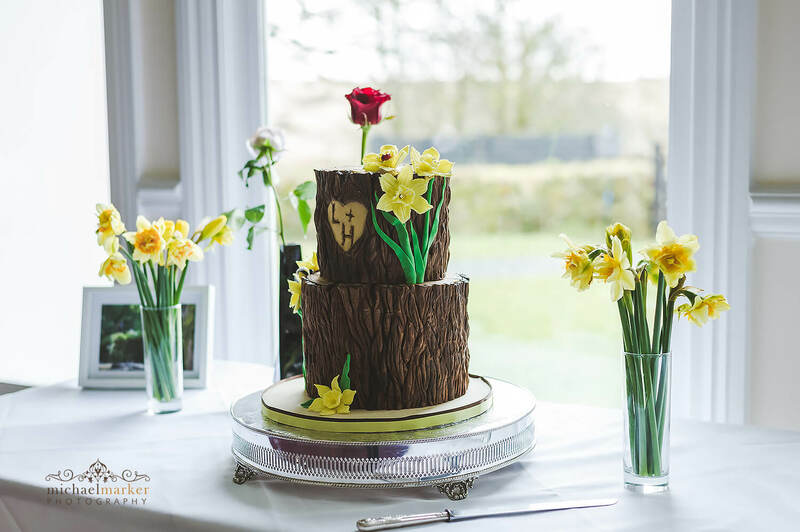 And the wedding cake was decorated with daffodils. 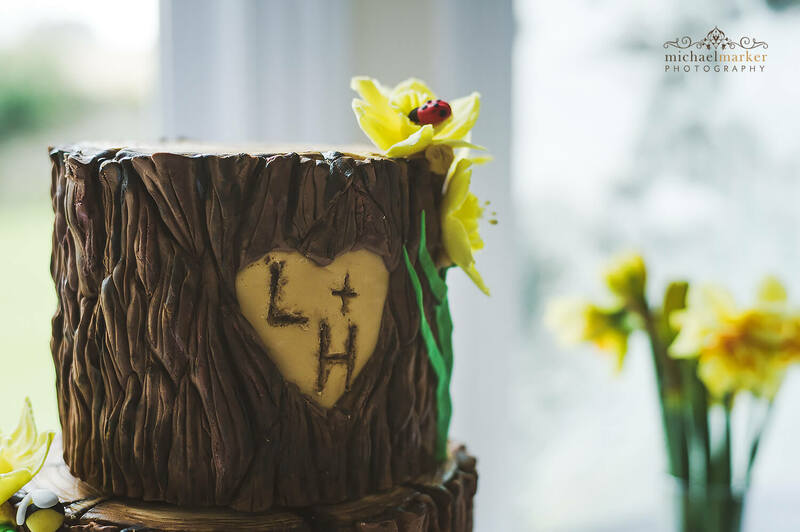 The green and yellow looked great. 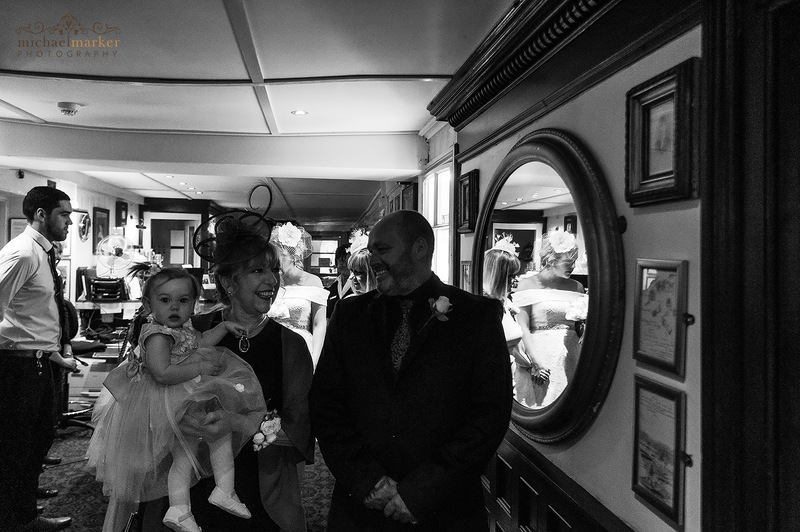 Enjoy a small selection of the photos from the day. Congratulations again to Hayley and Lee and thank you for booking me to document your fabulous Two Bridges Hotel Dartmoor wedding.